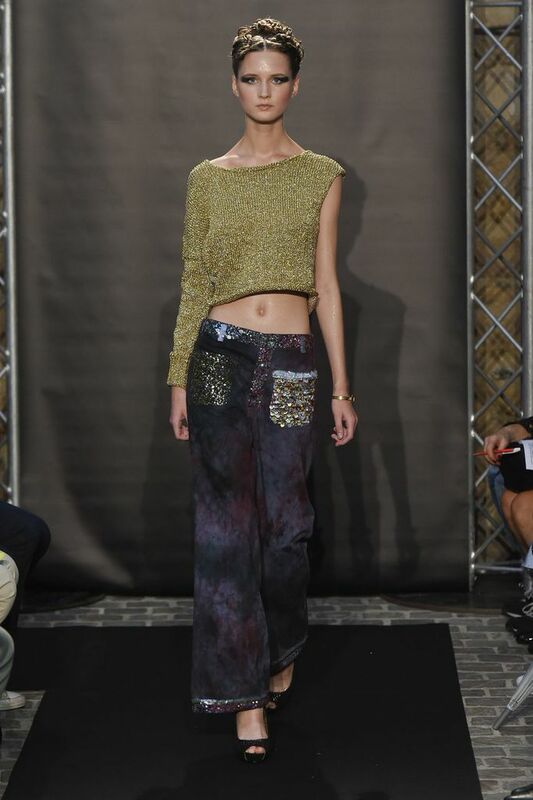 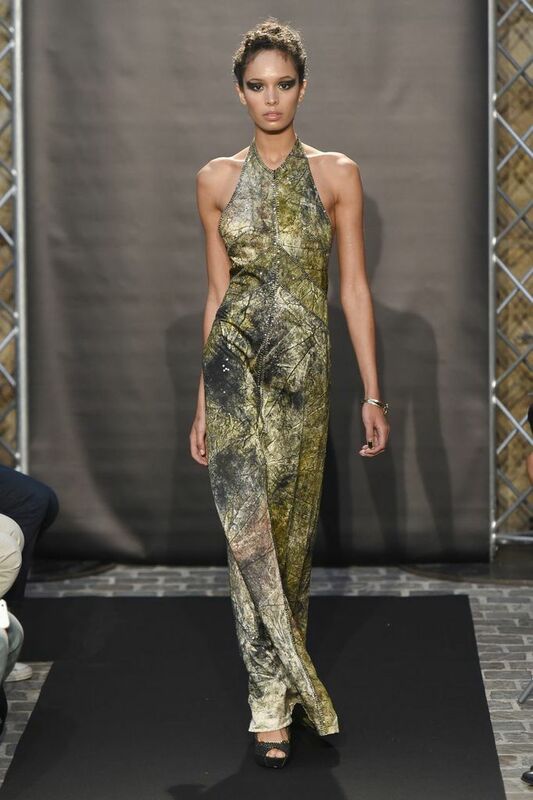 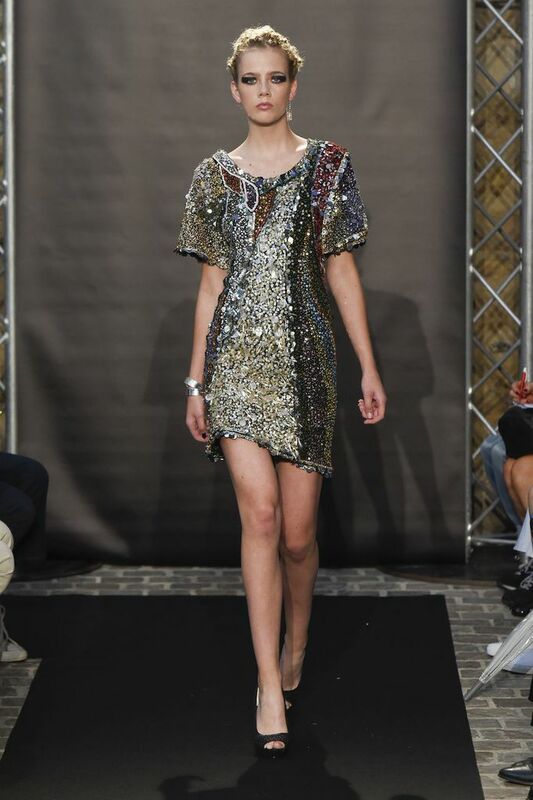 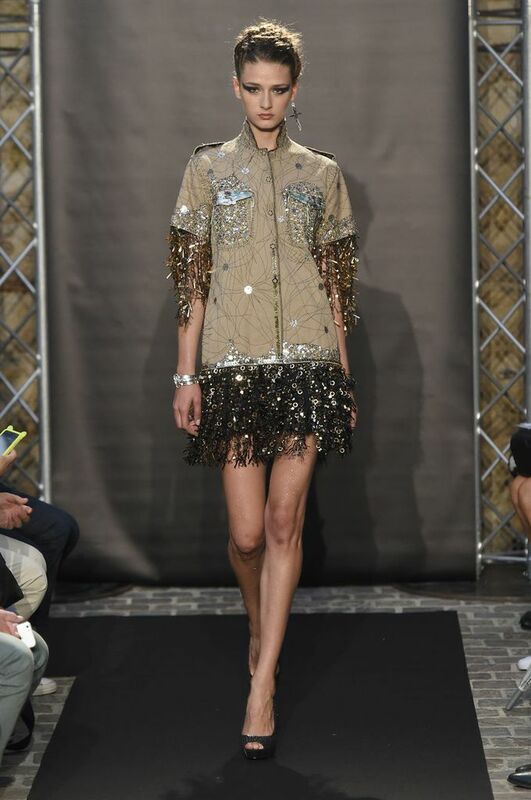 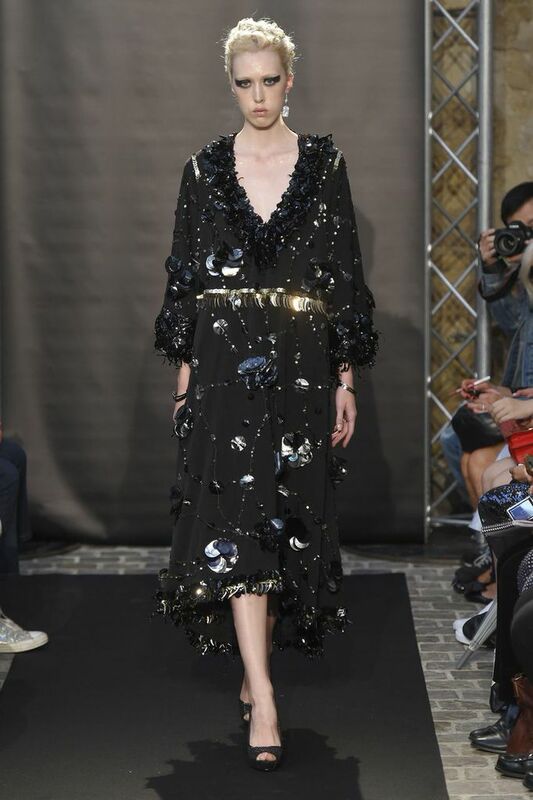 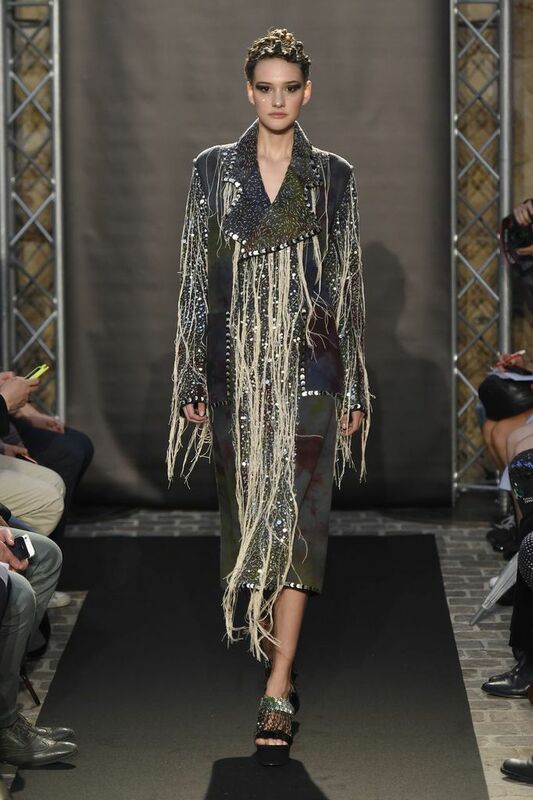 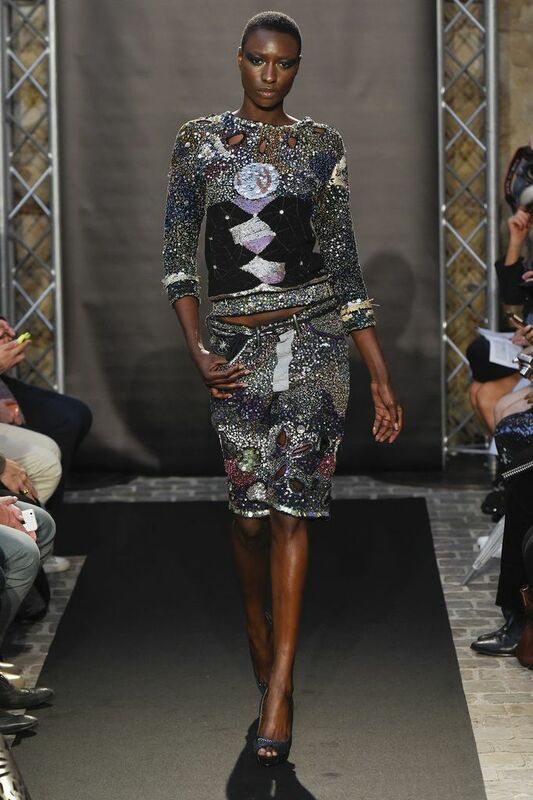 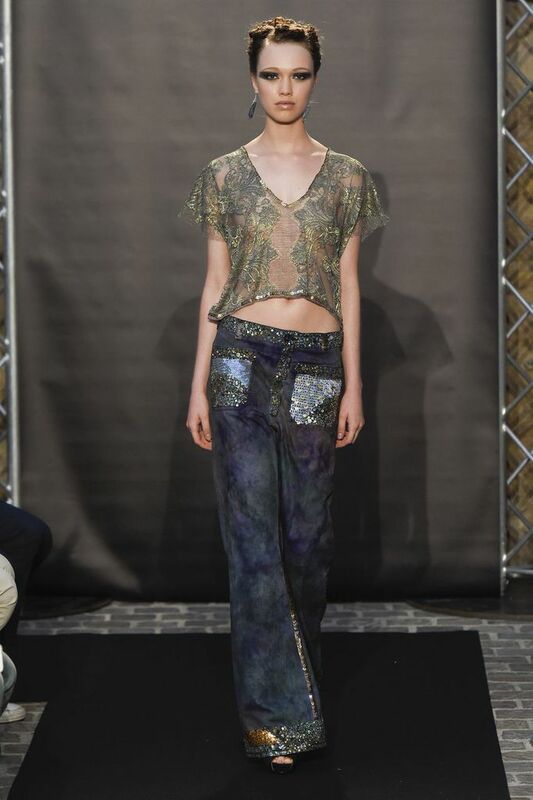 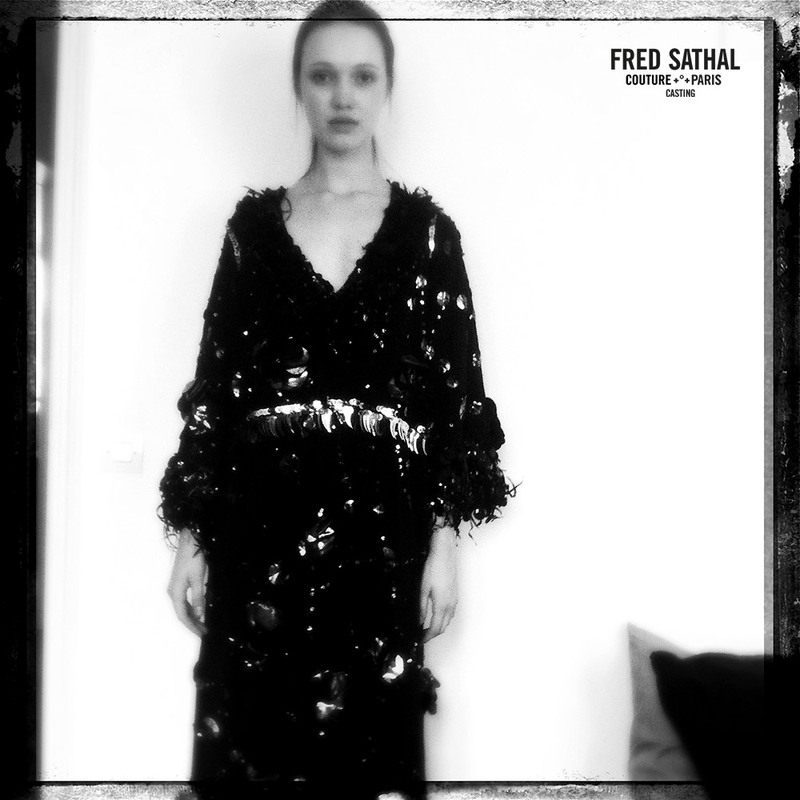 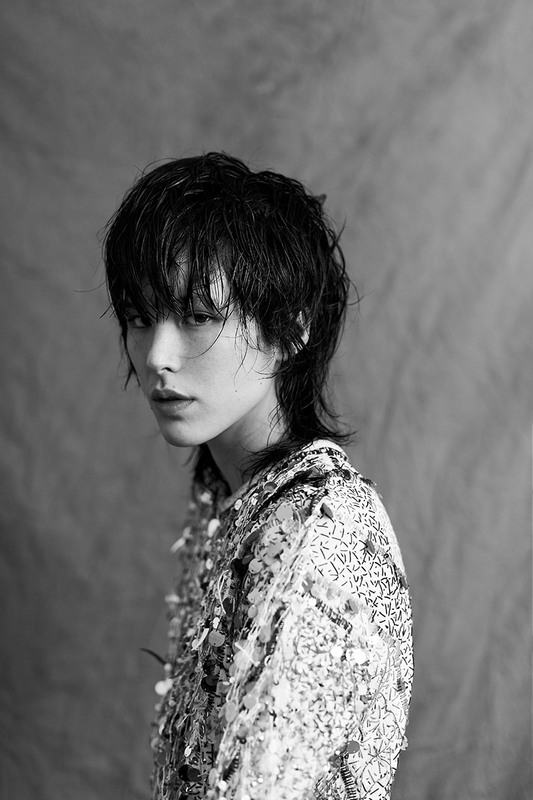 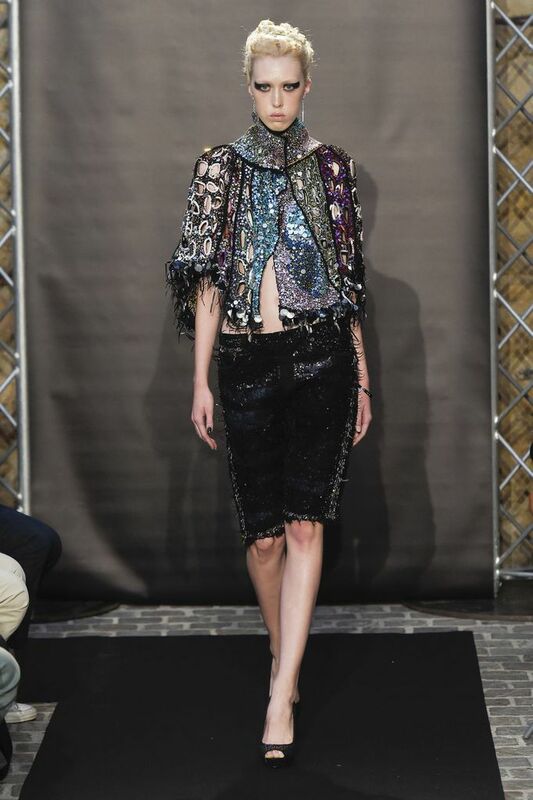 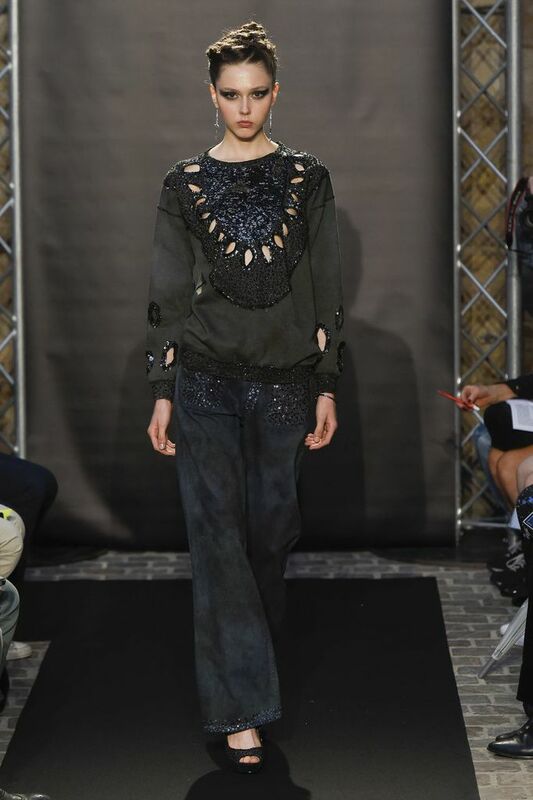 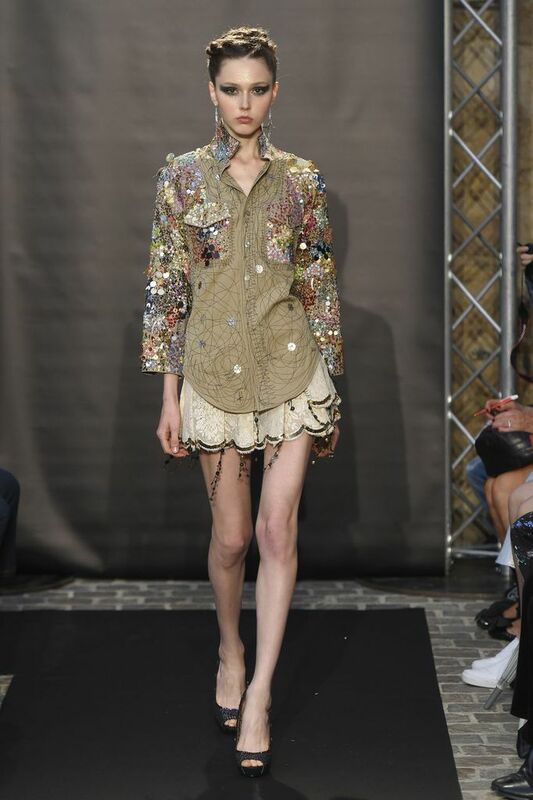 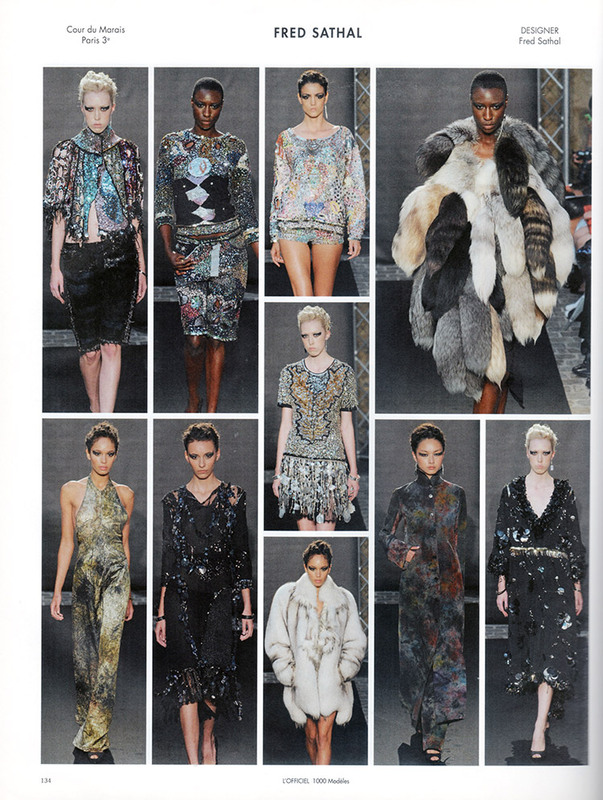 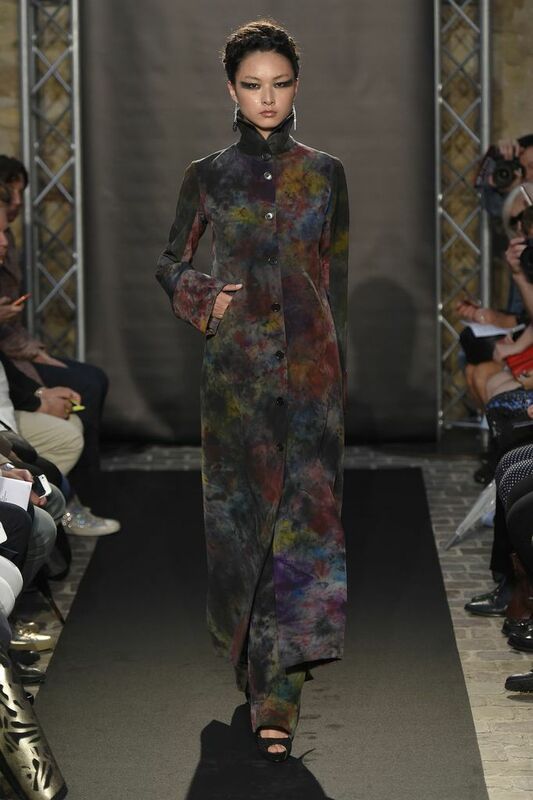 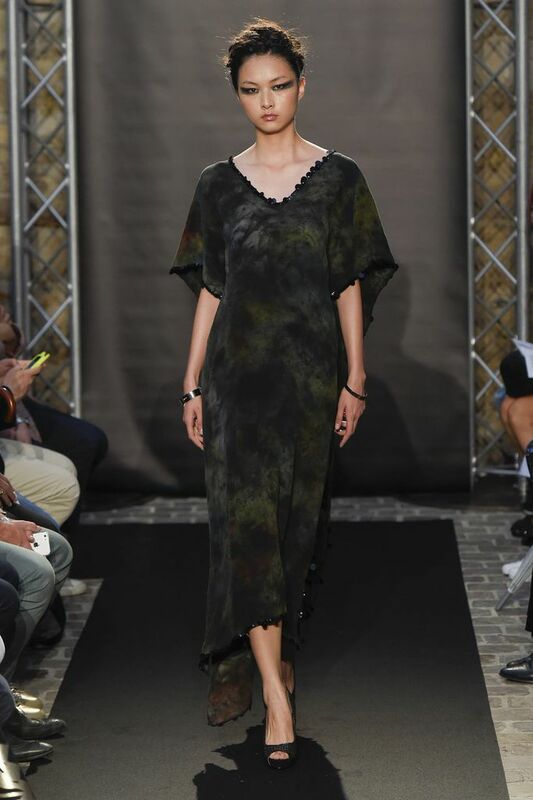 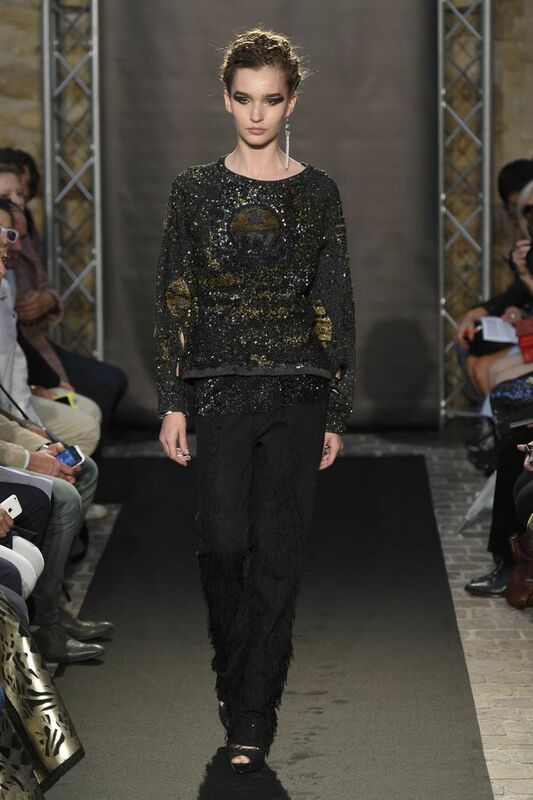 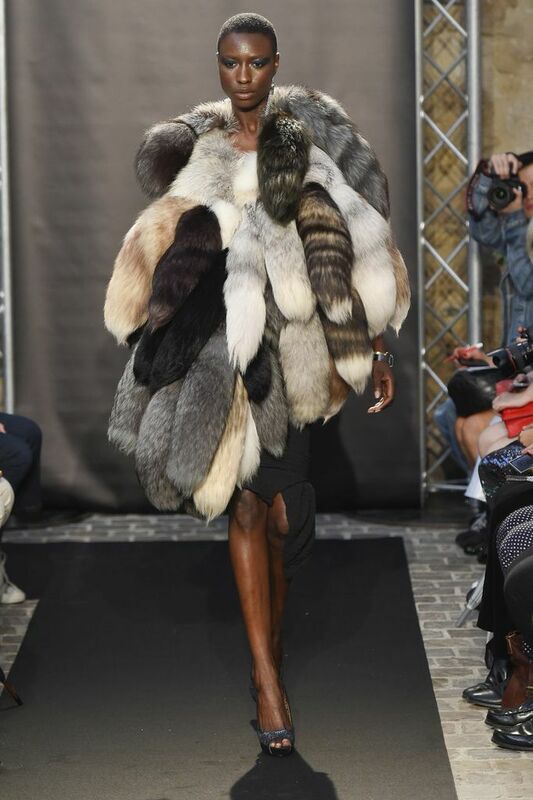 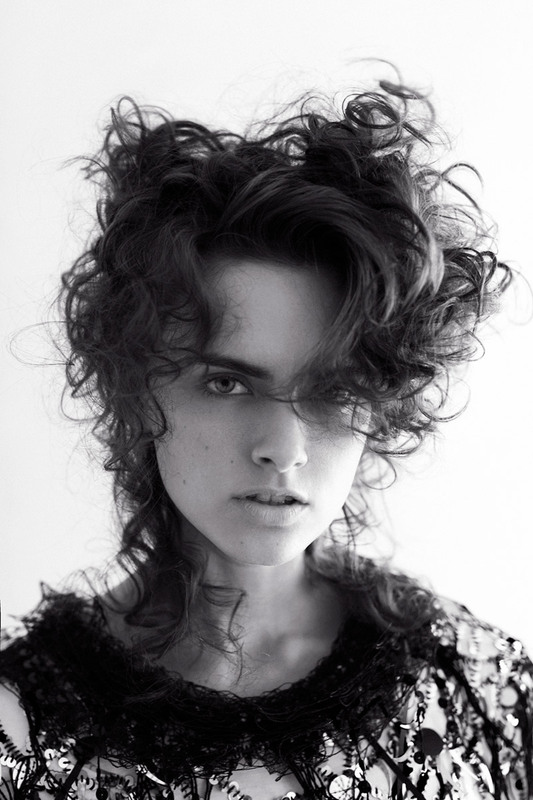 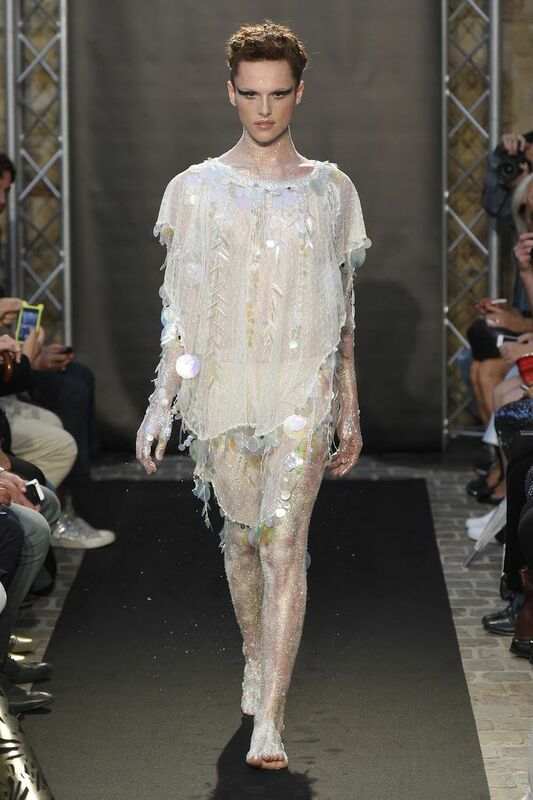 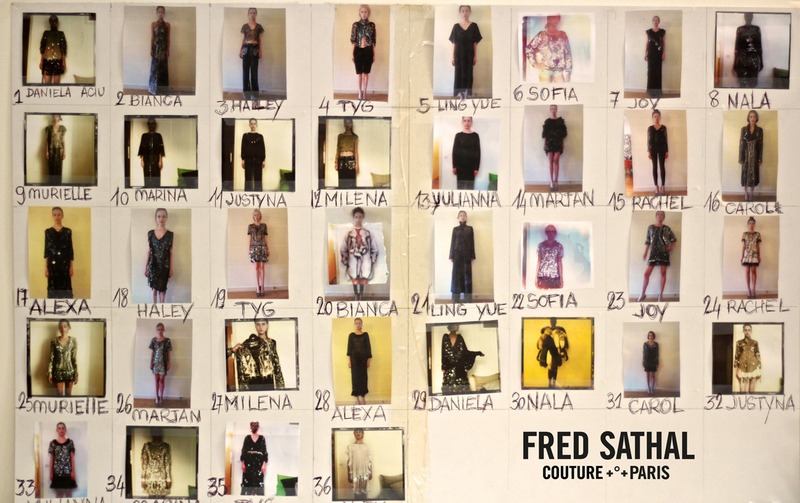 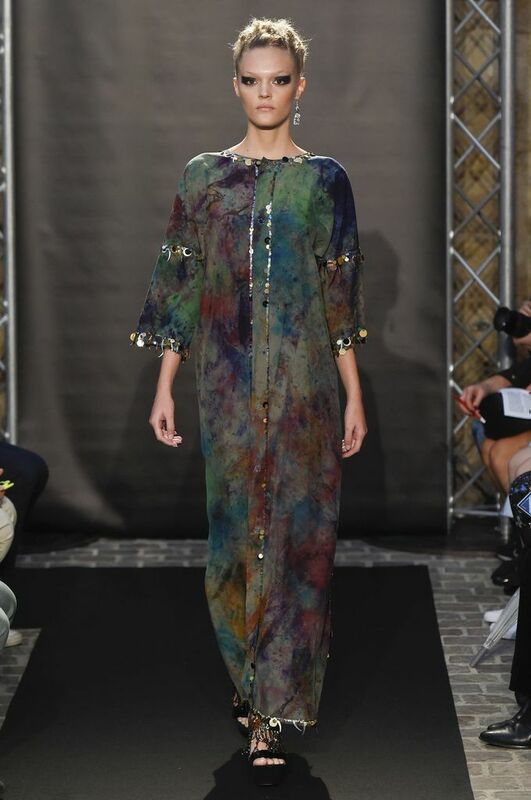 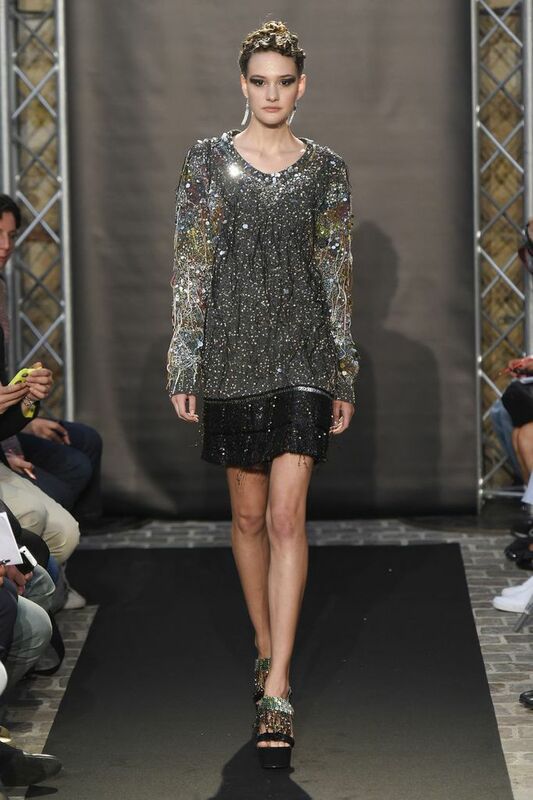 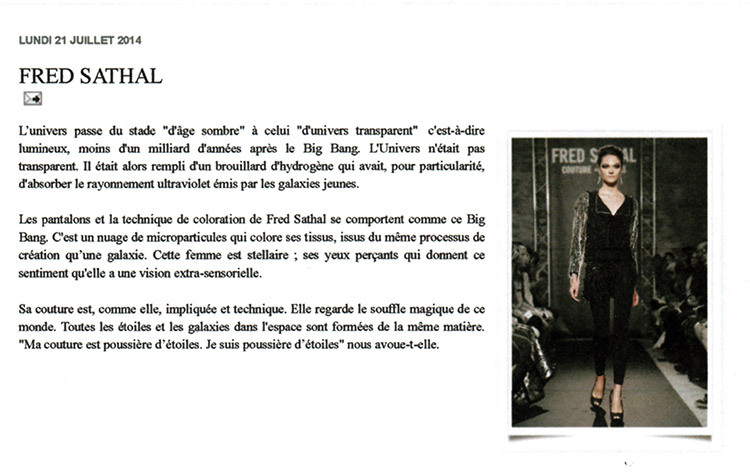 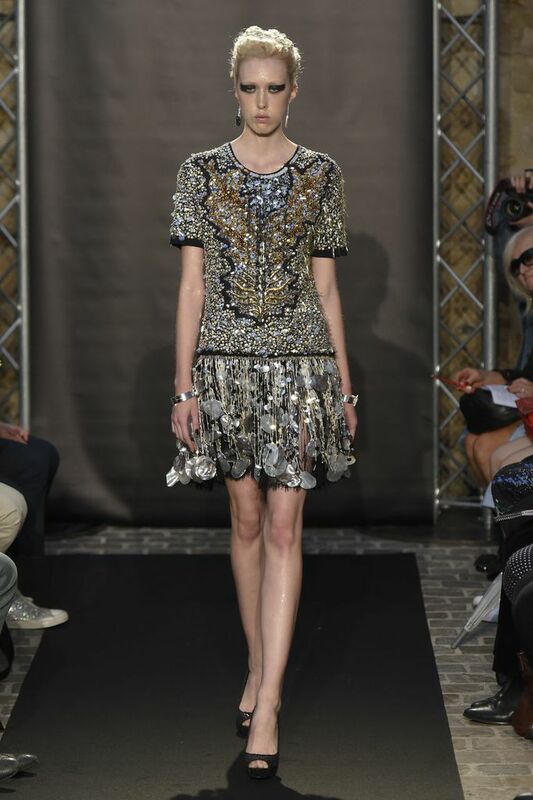 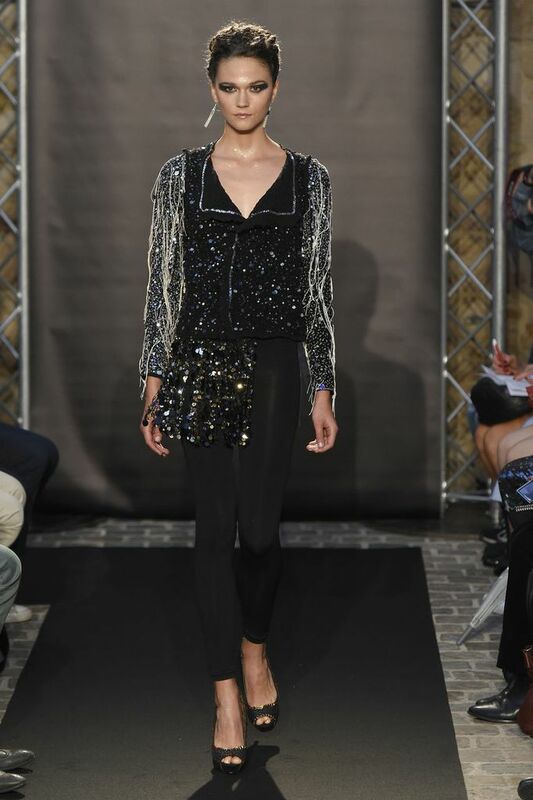 After 8 years of absence from the Parisian shows, designer Fred Sathal is back on the catwalks. 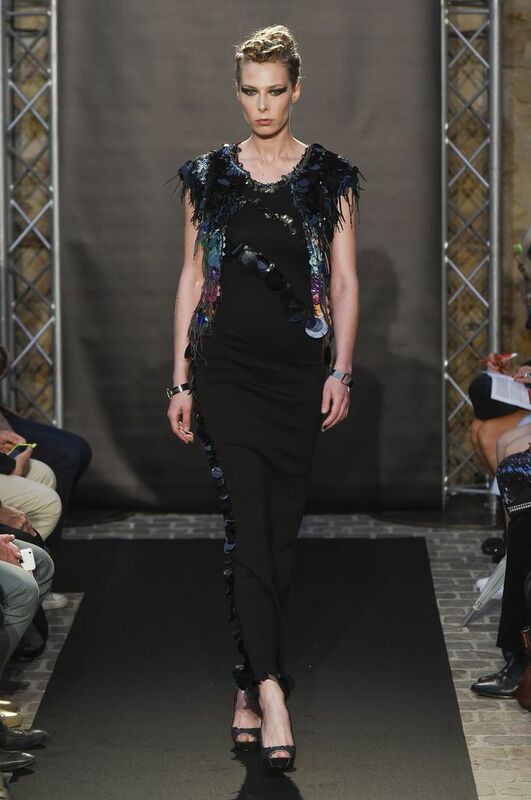 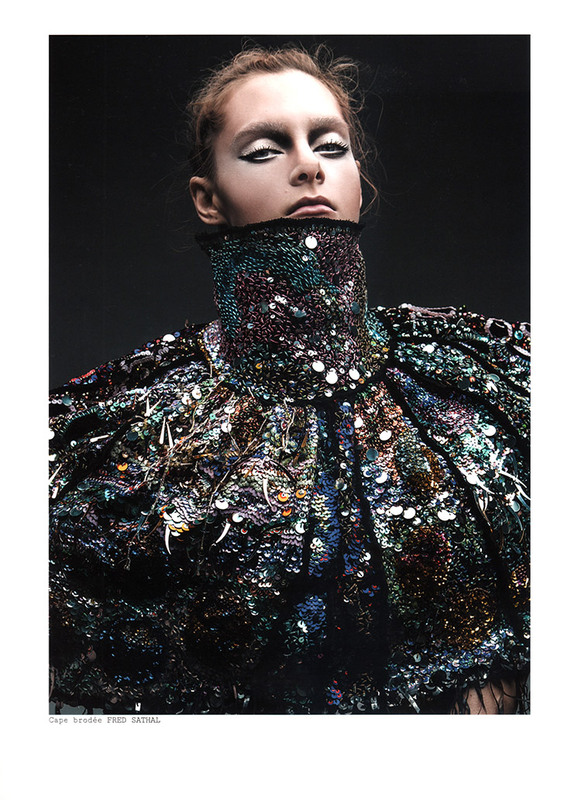 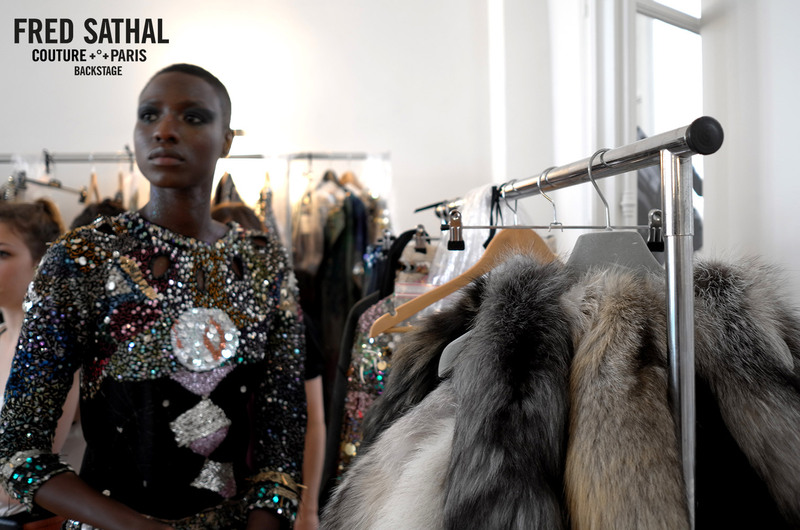 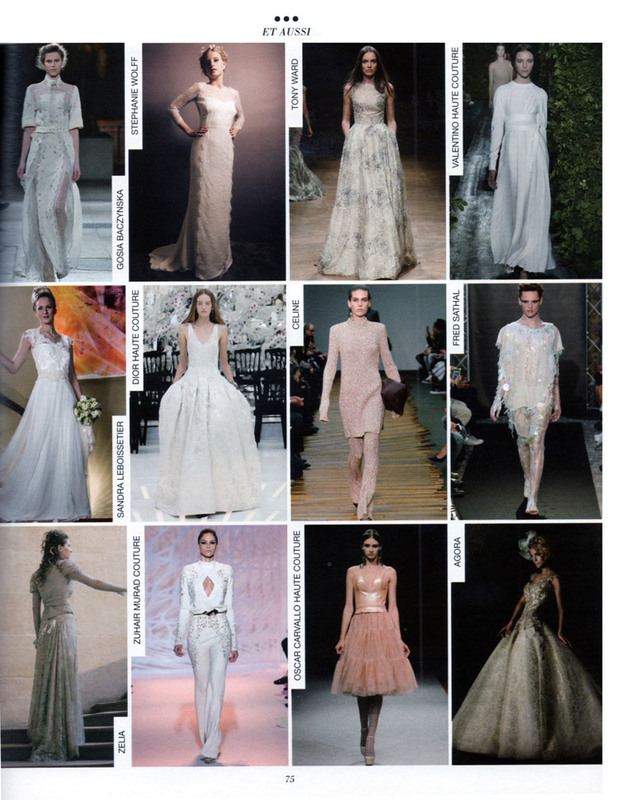 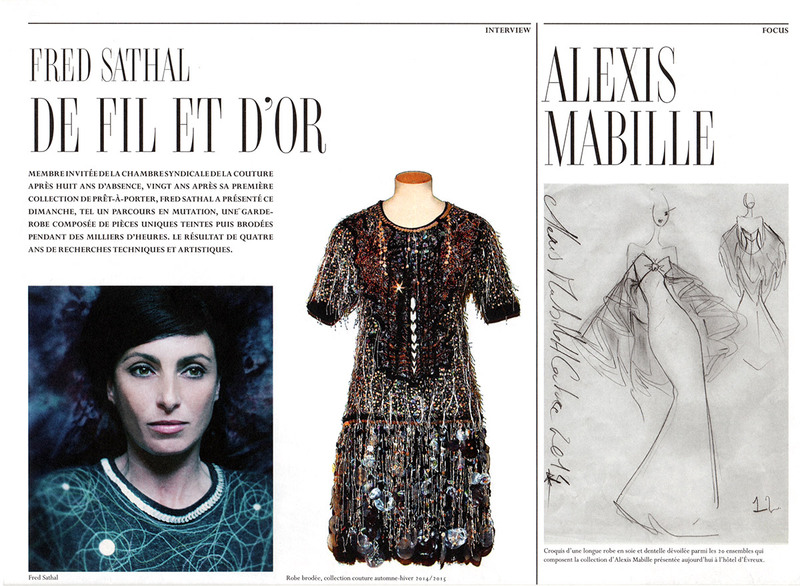 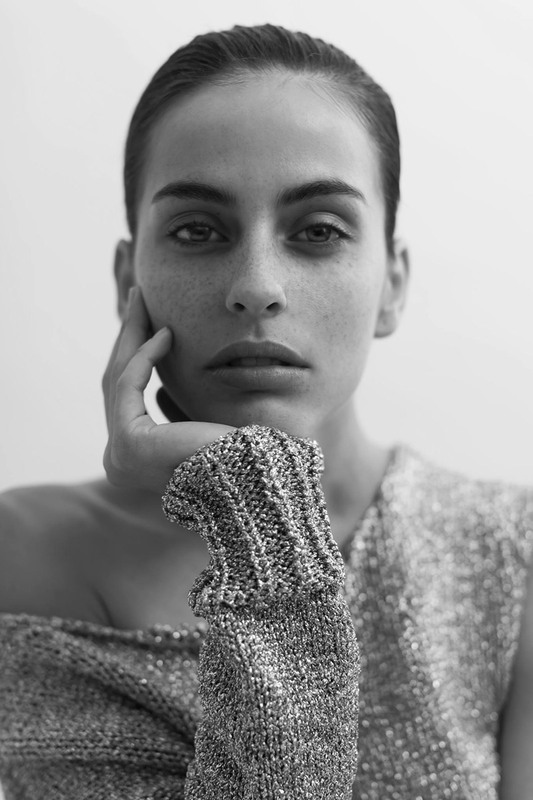 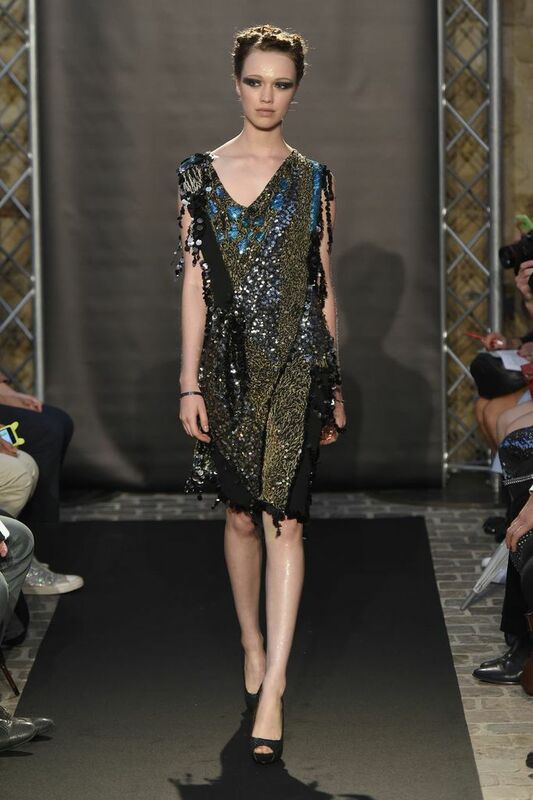 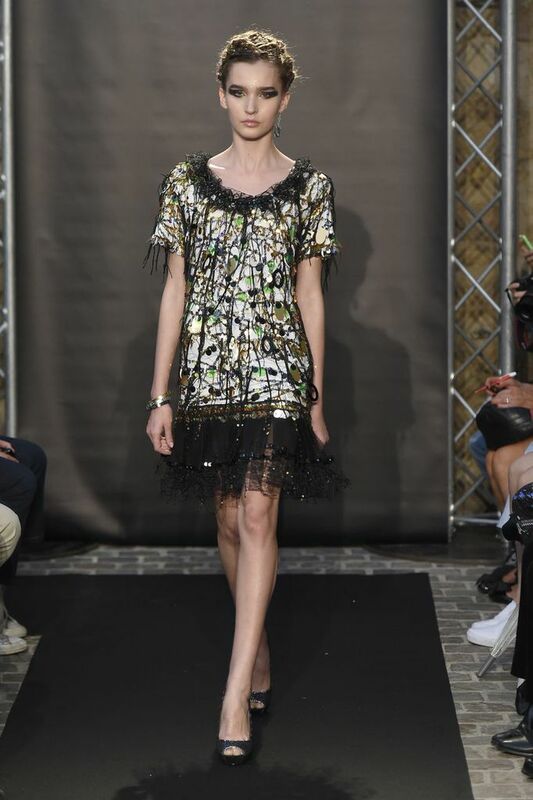 Elected as a guest member by the French Federation of Couture, she presented her new collection in the July 2014 official Haute Couture calendar, as a relaunch of her Couture House. 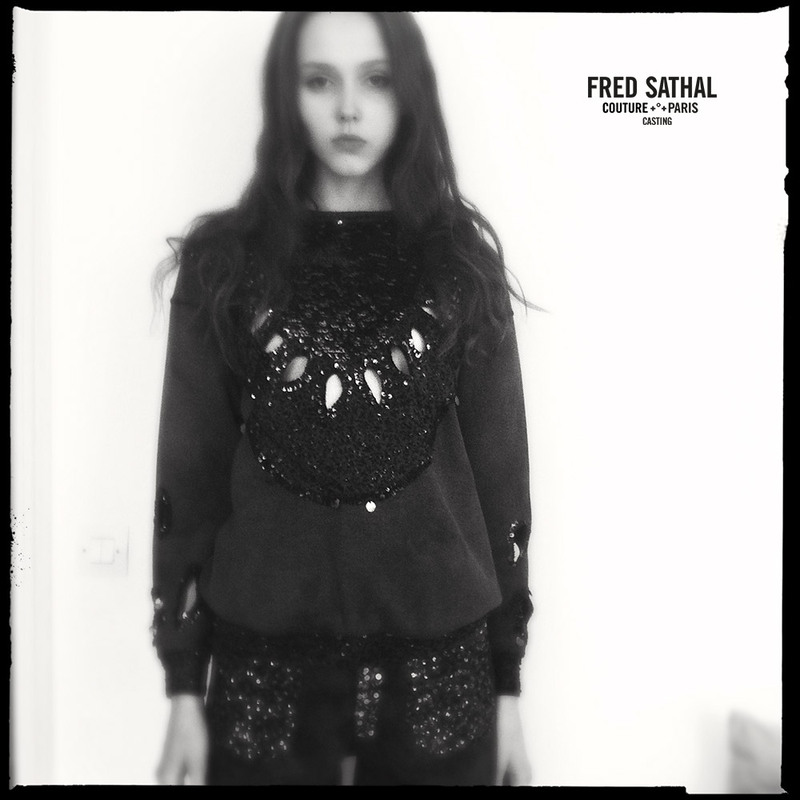 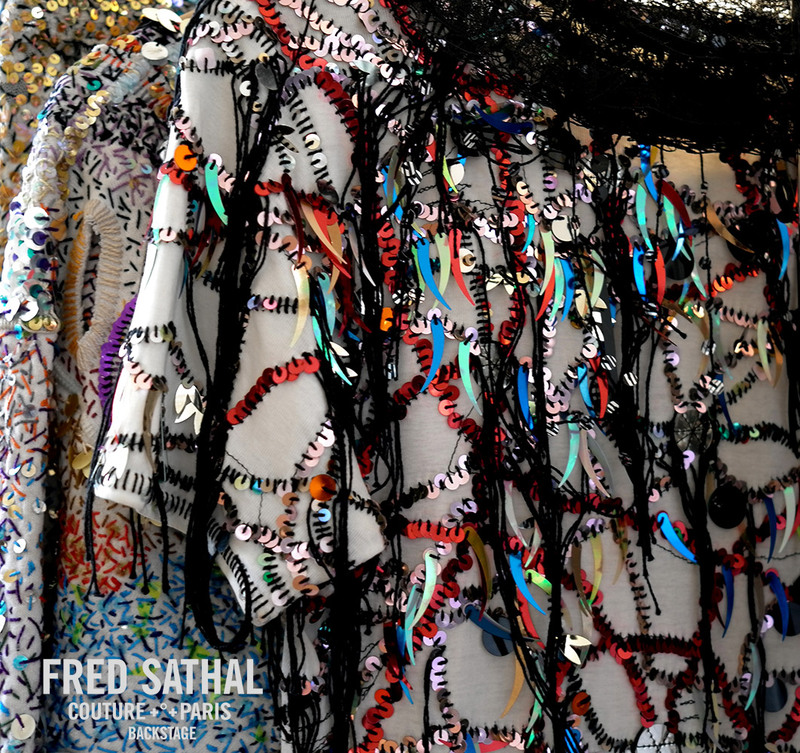 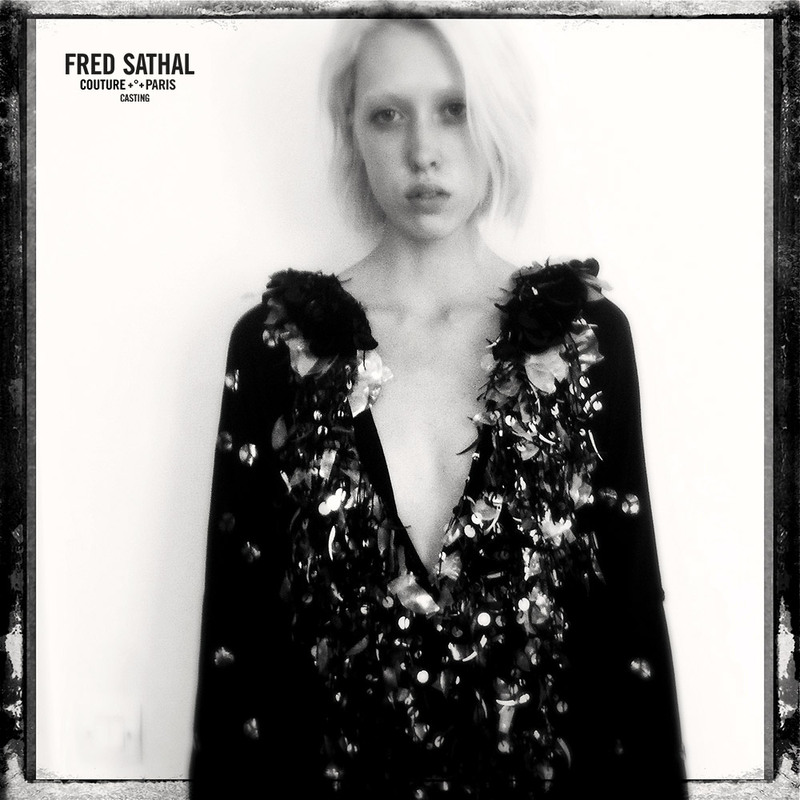 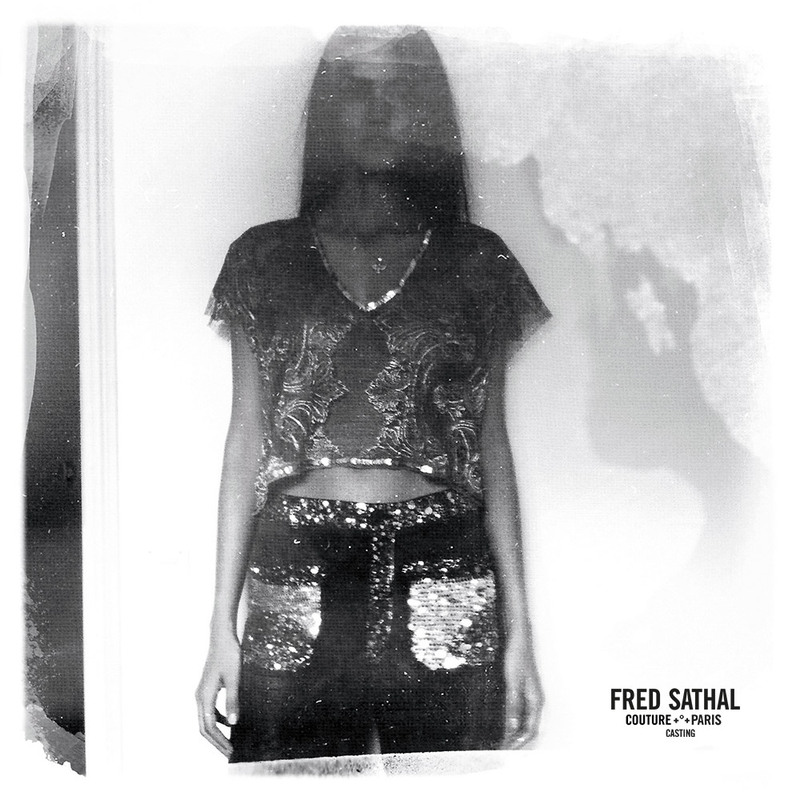 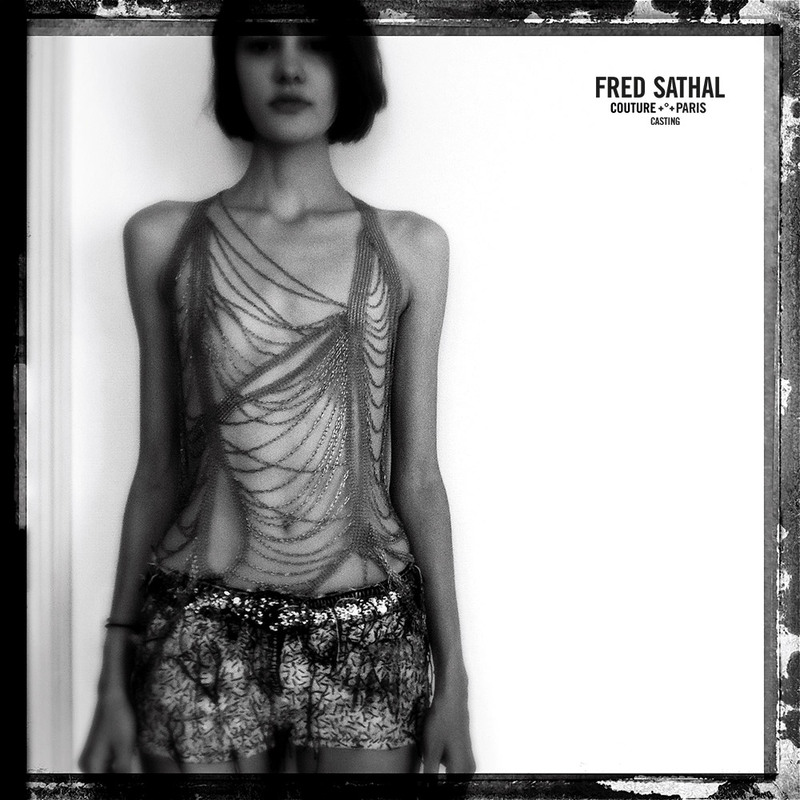 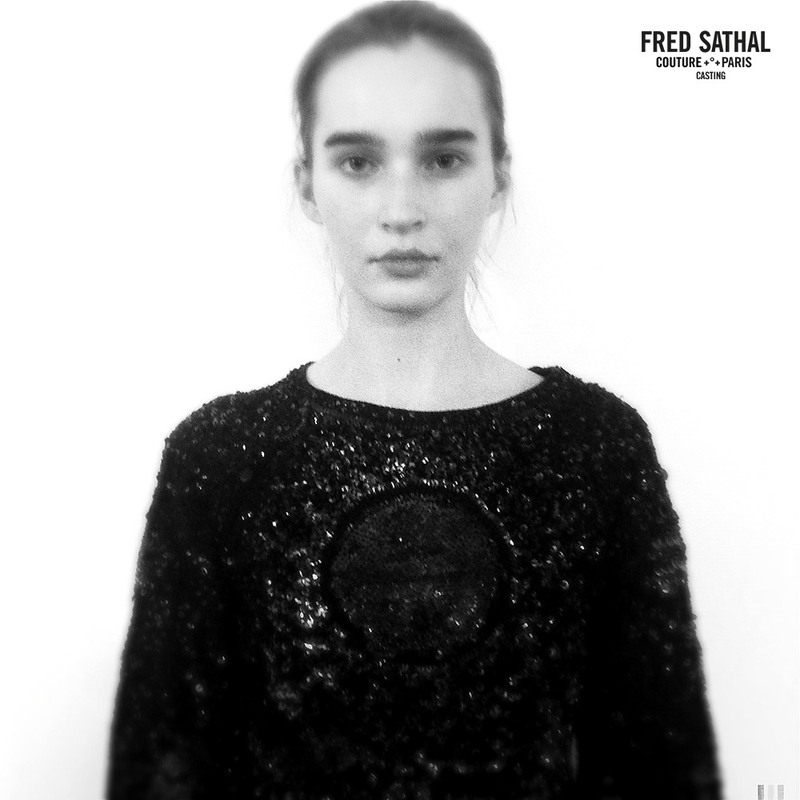 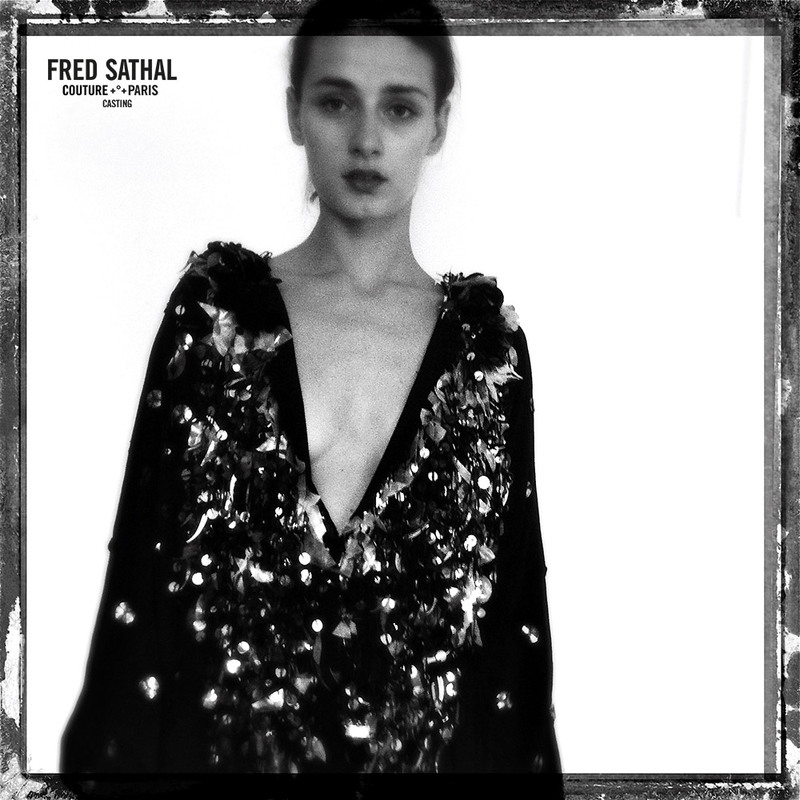 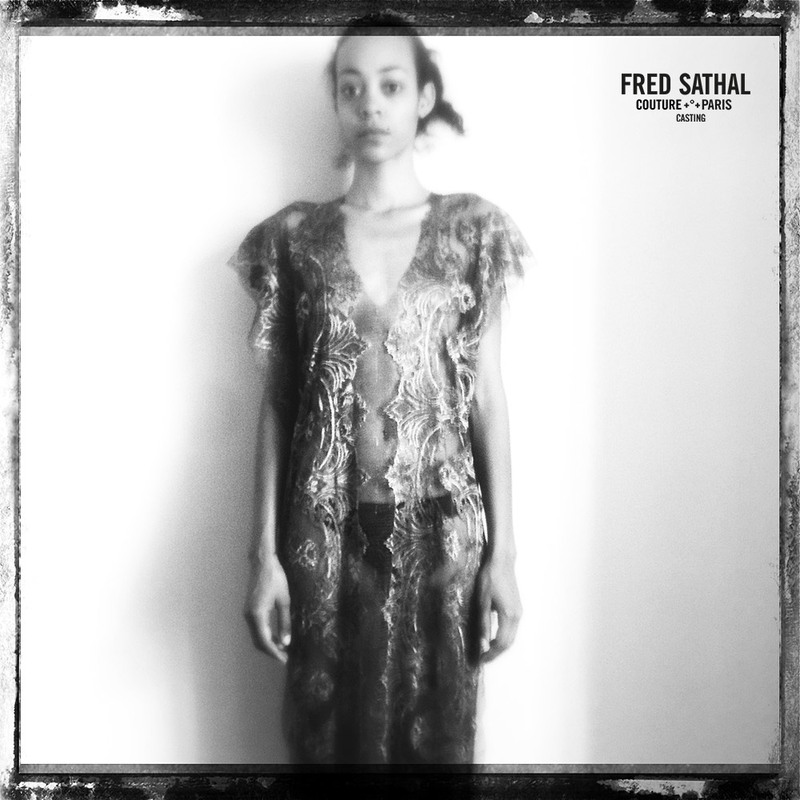 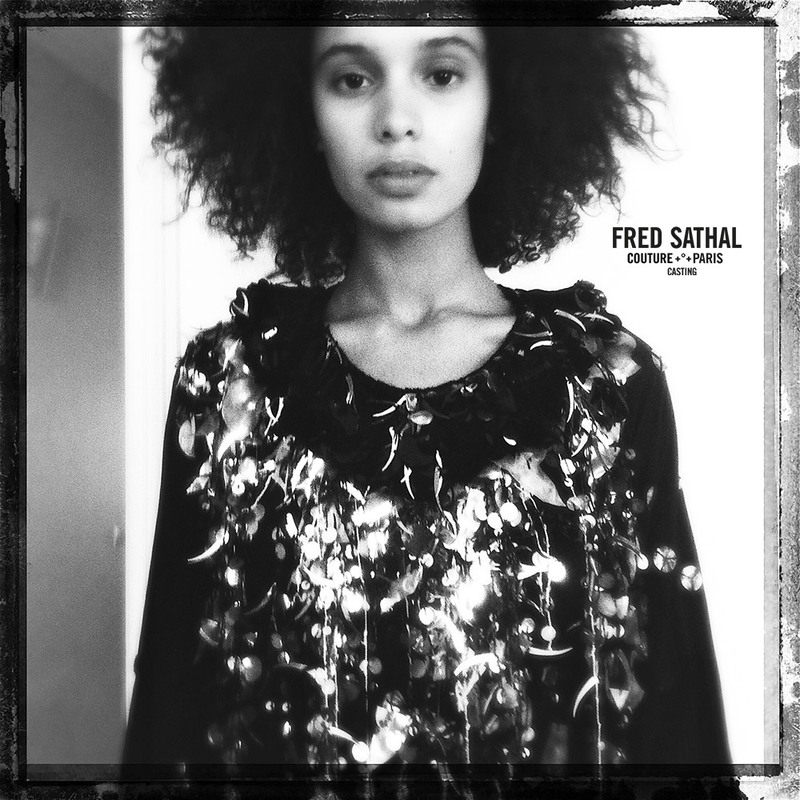 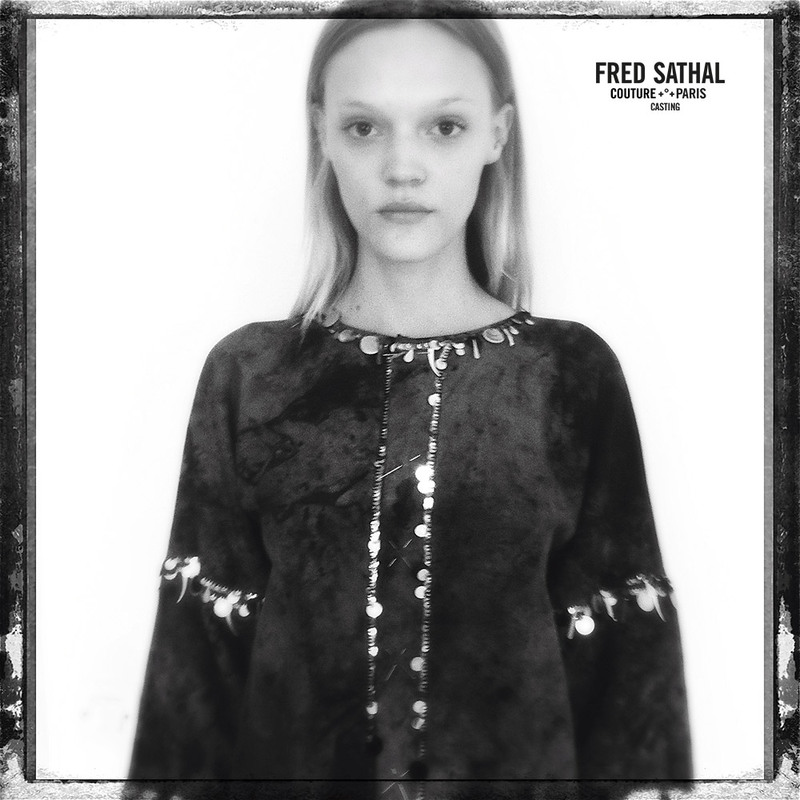 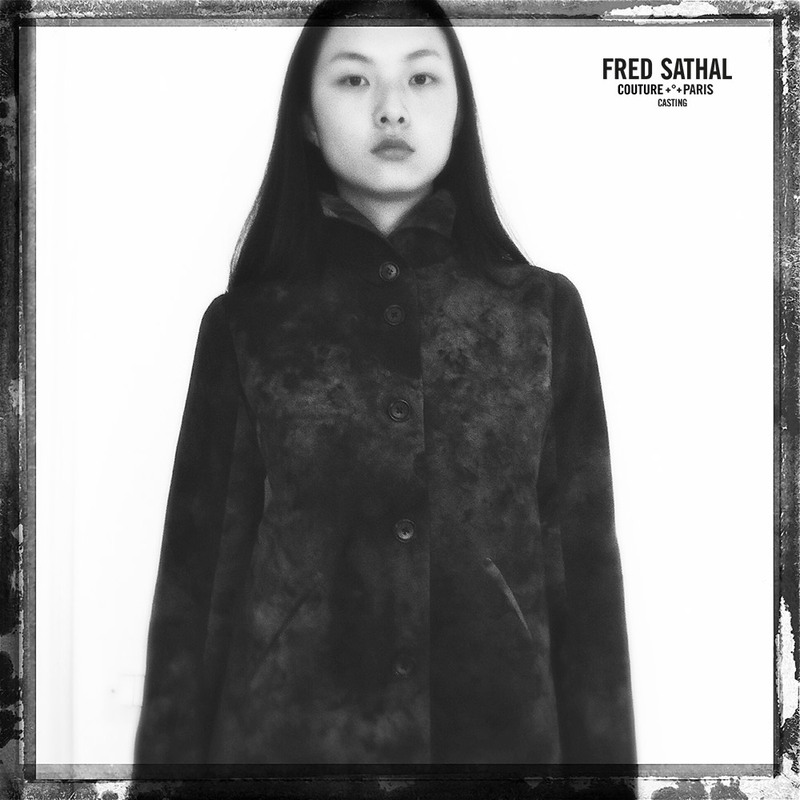 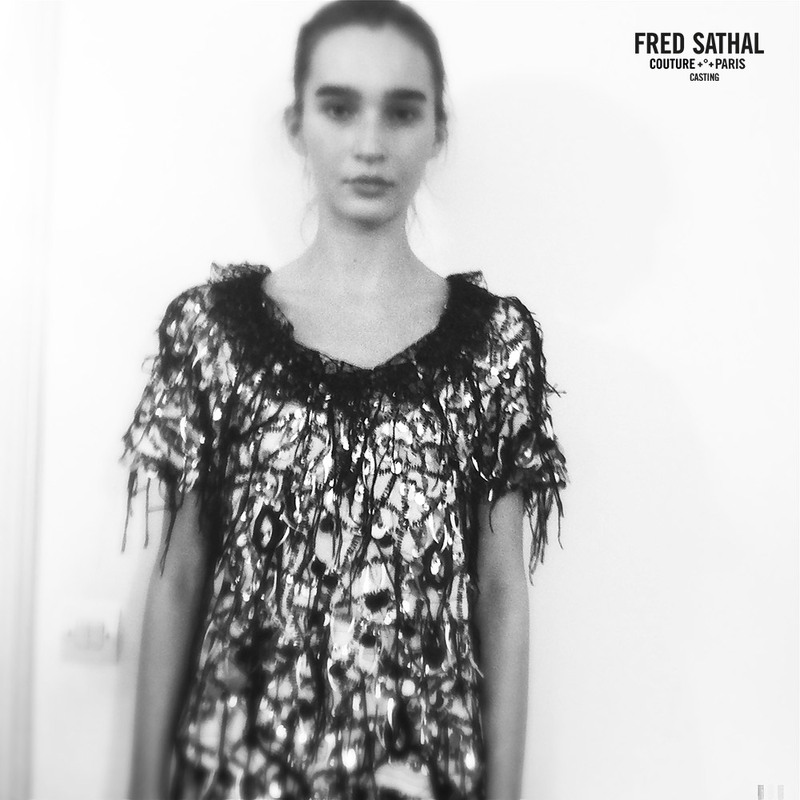 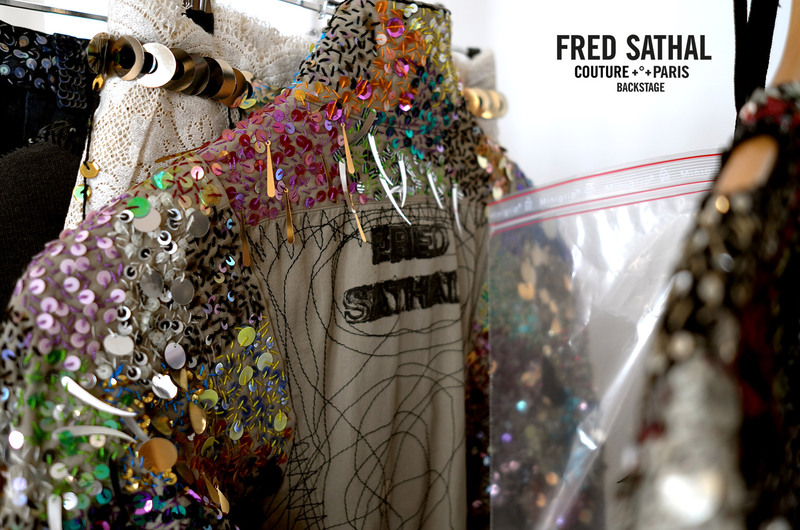 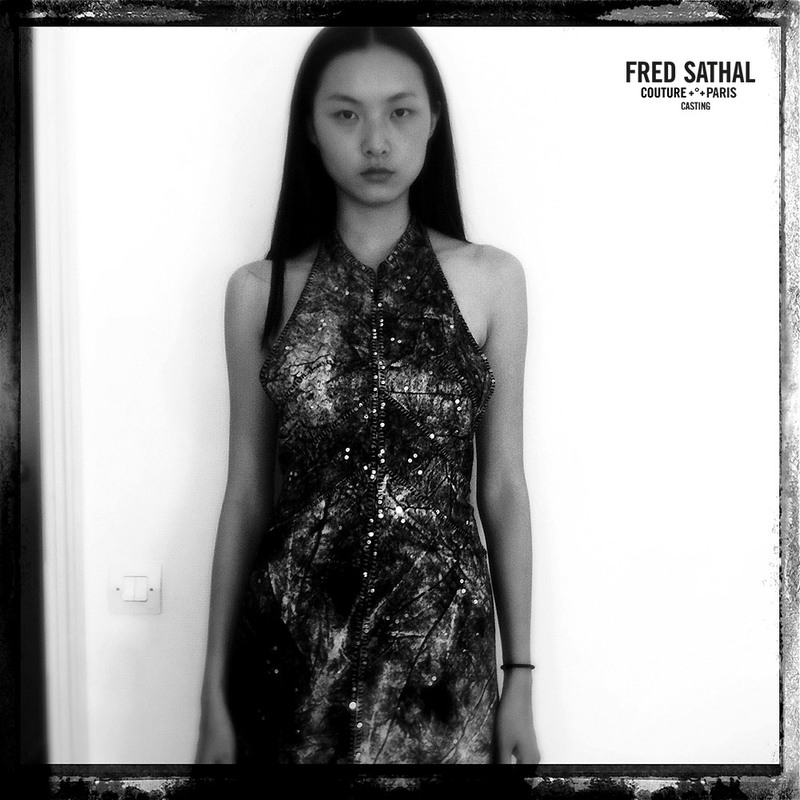 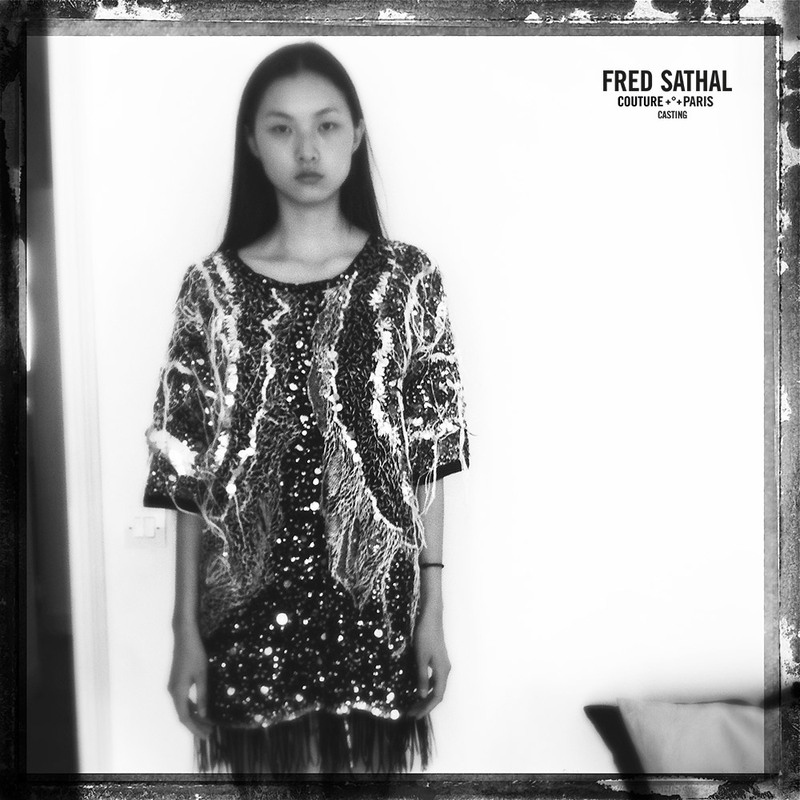 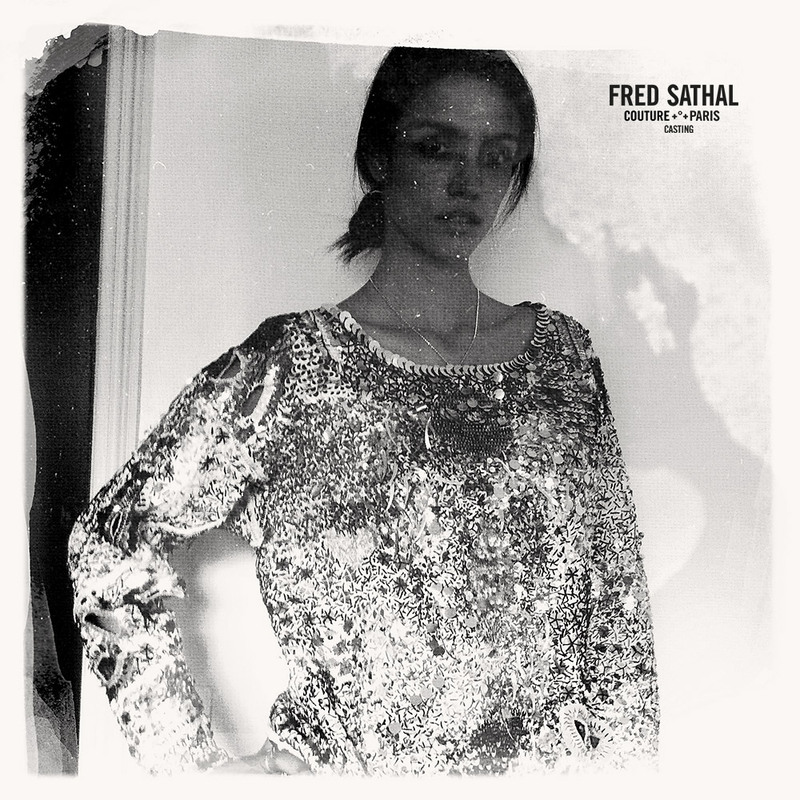 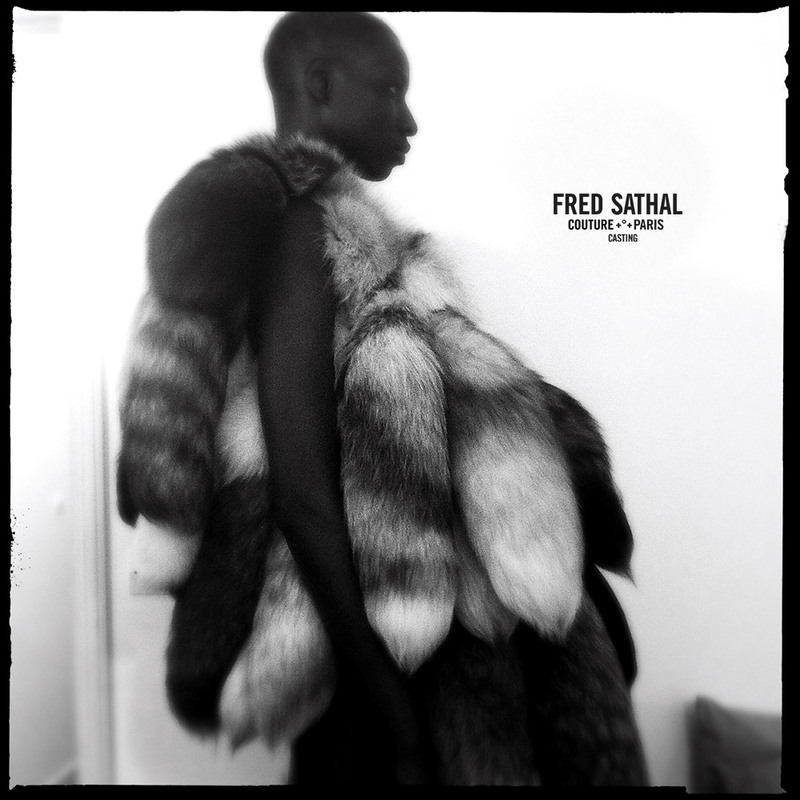 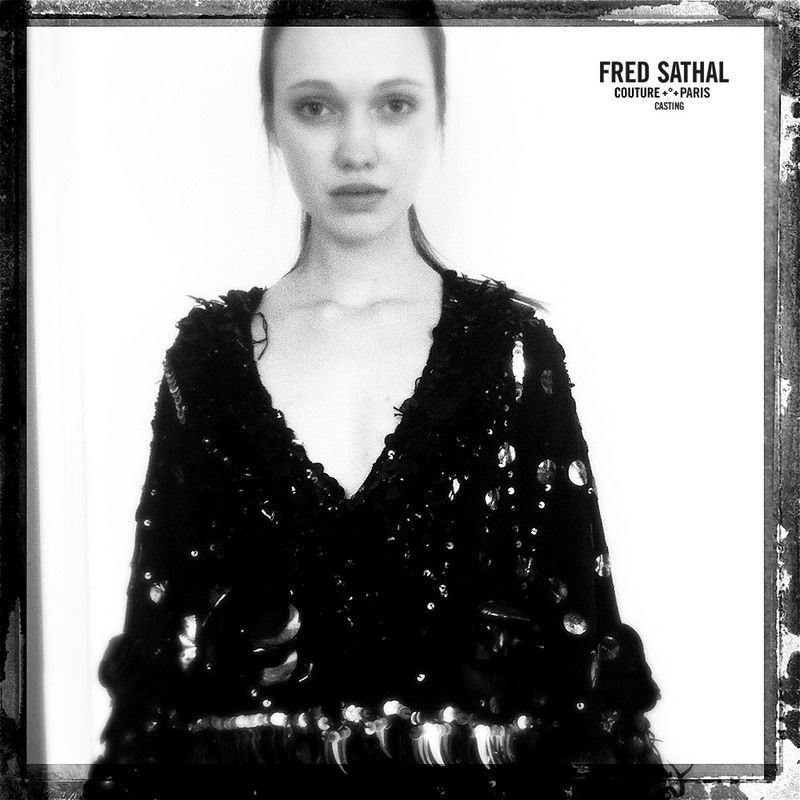 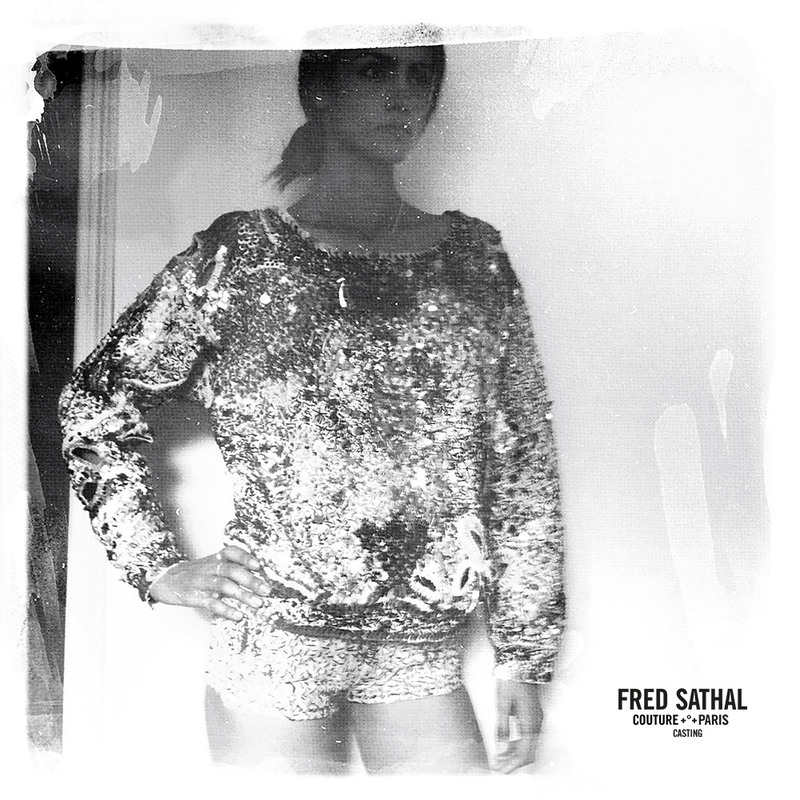 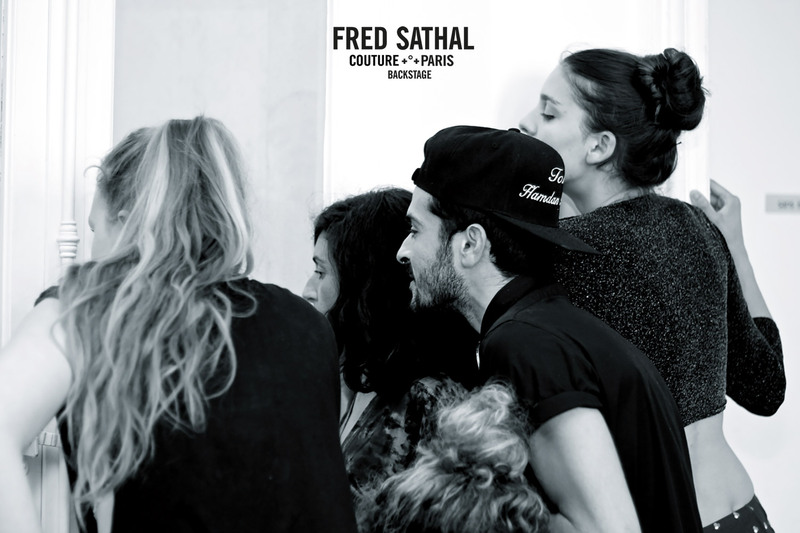 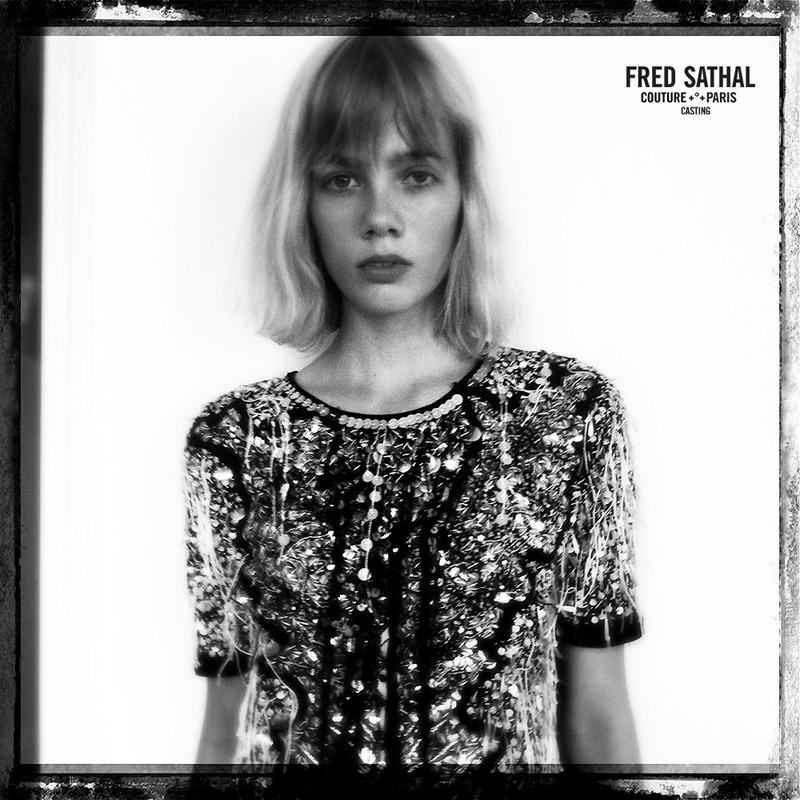 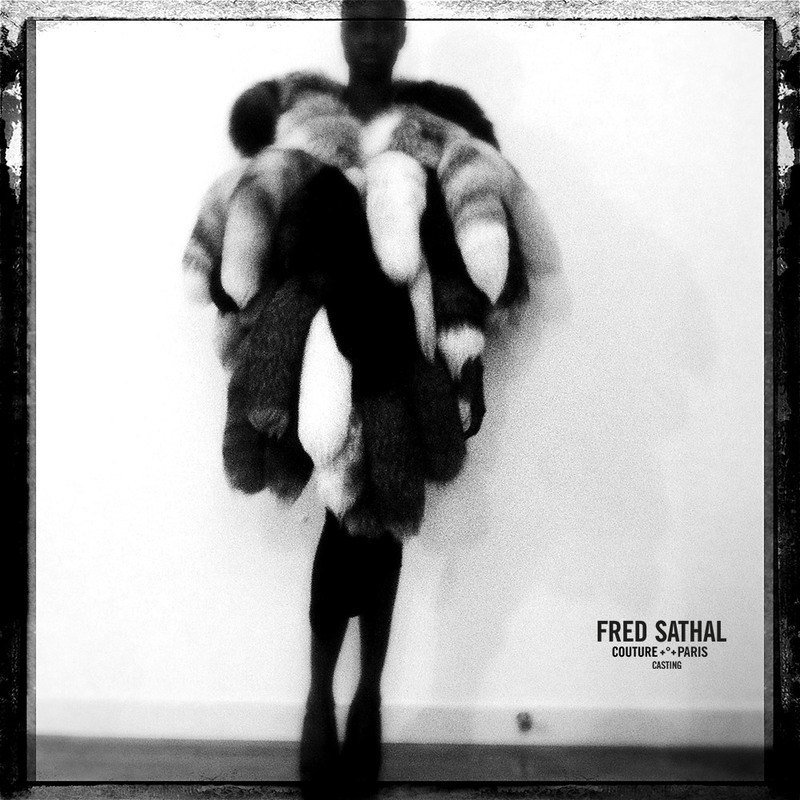 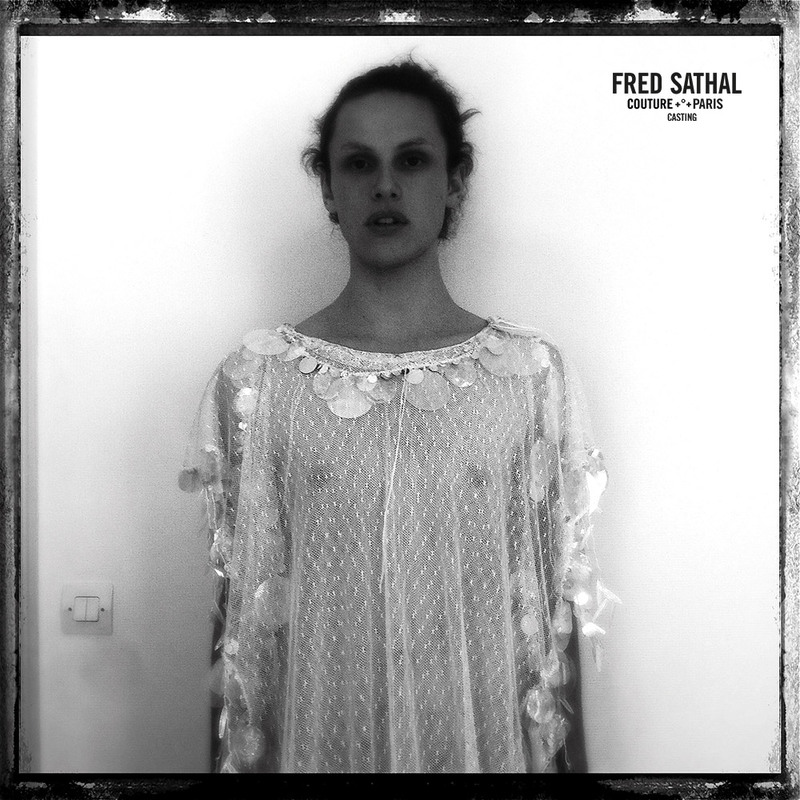 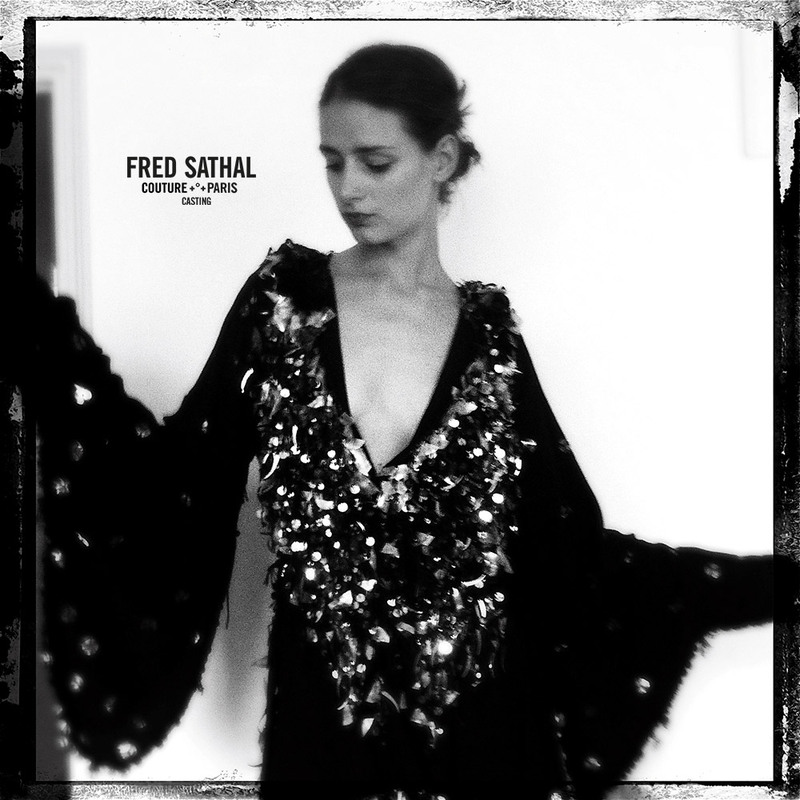 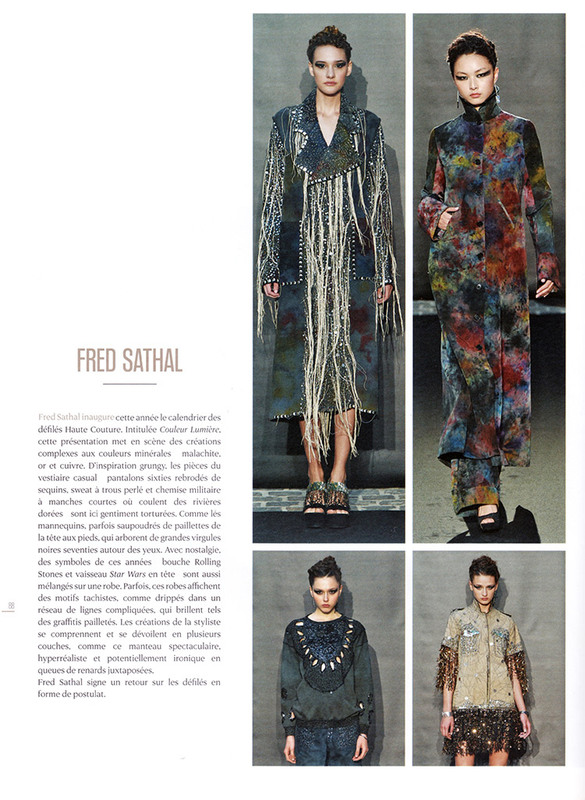 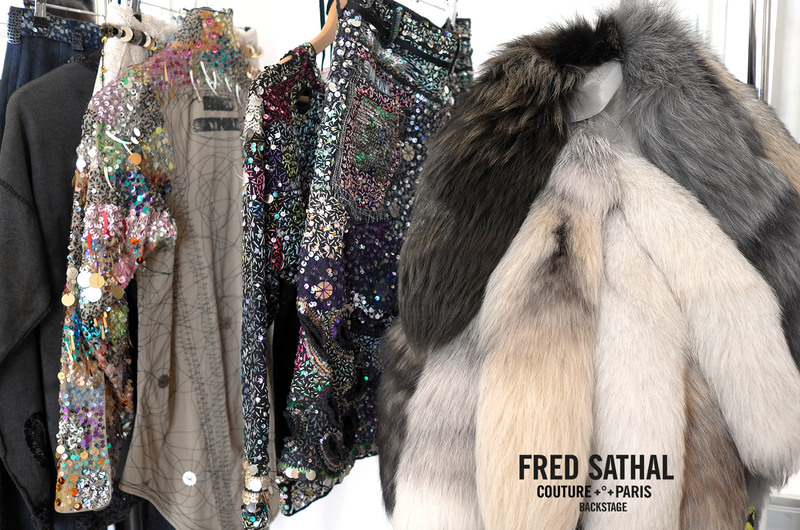 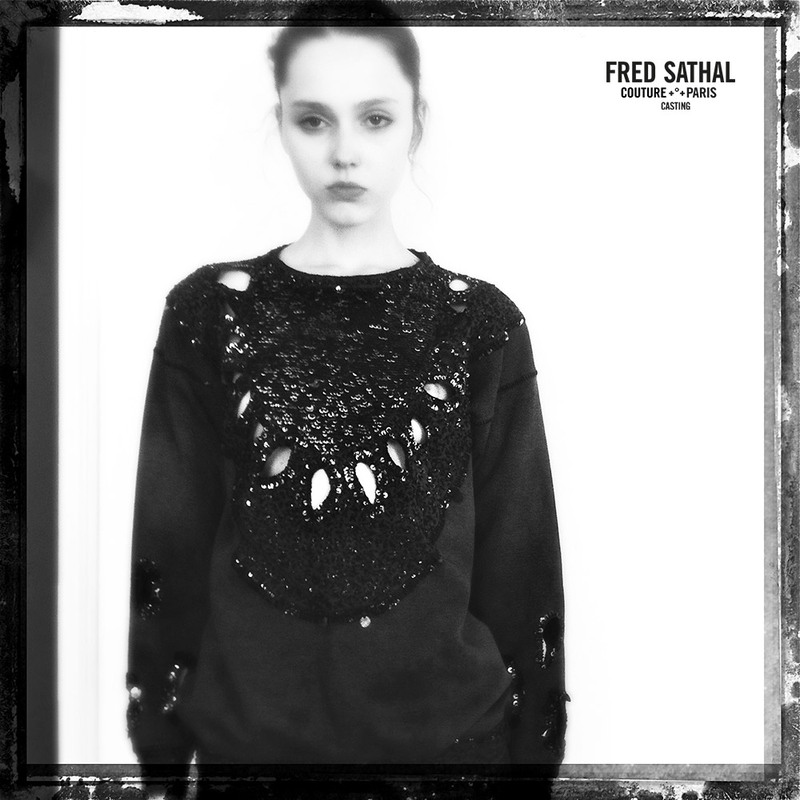 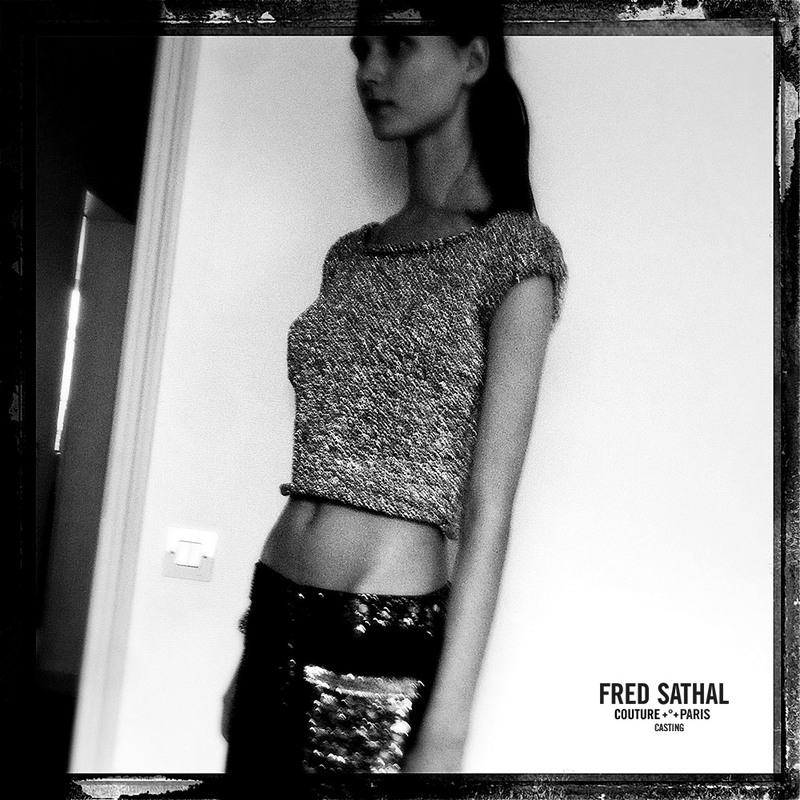 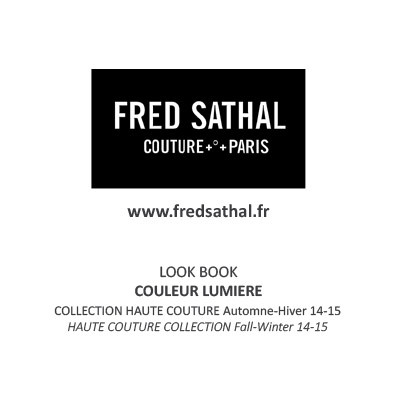 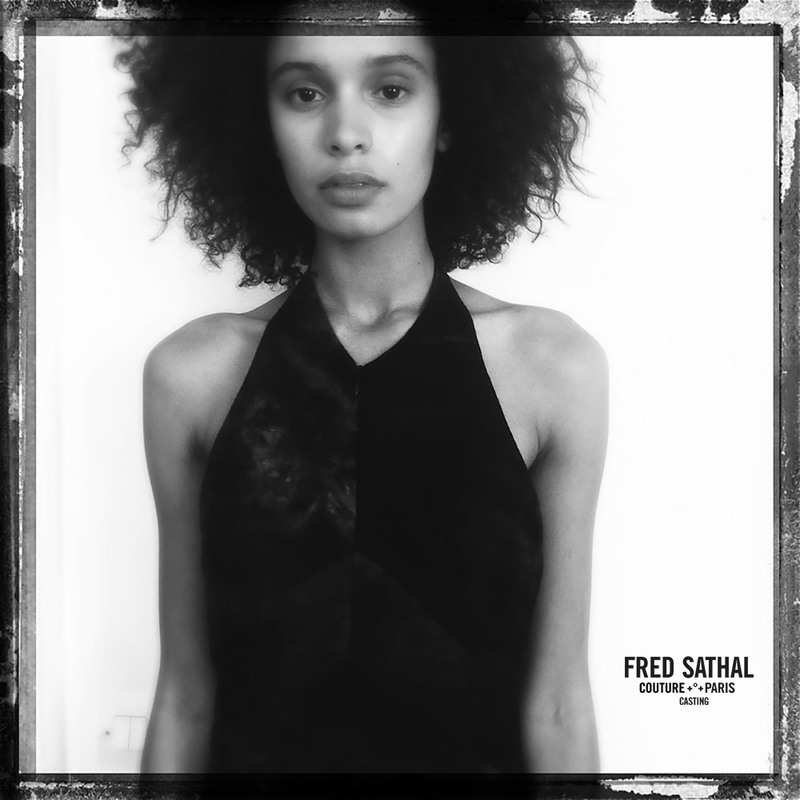 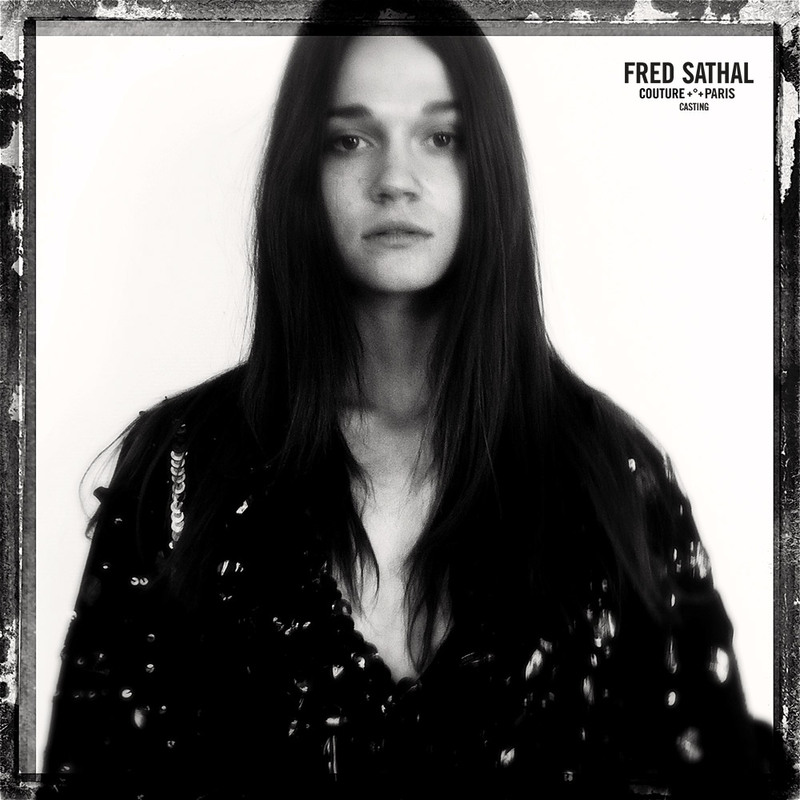 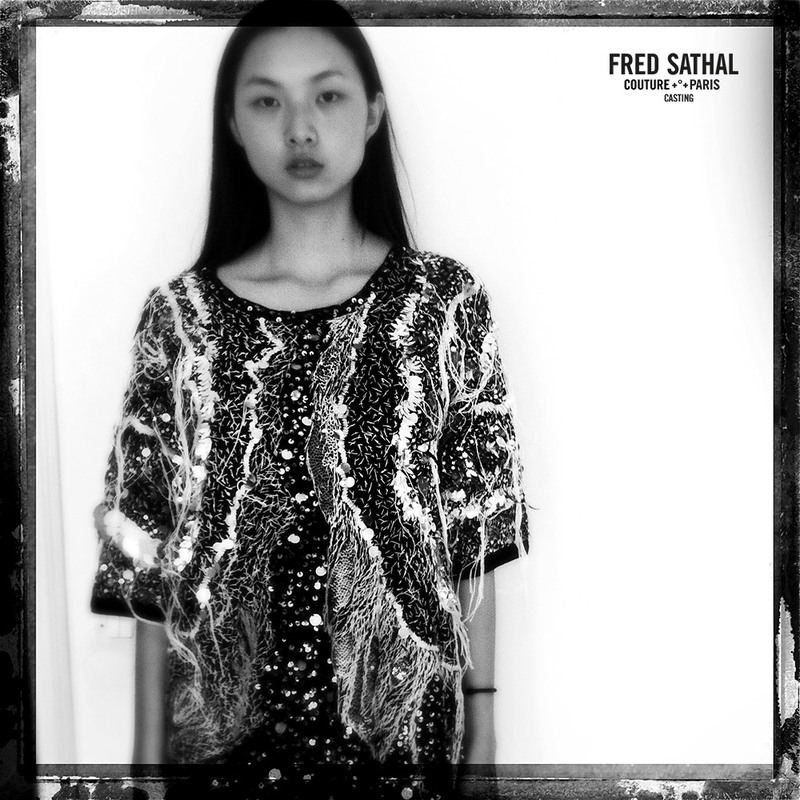 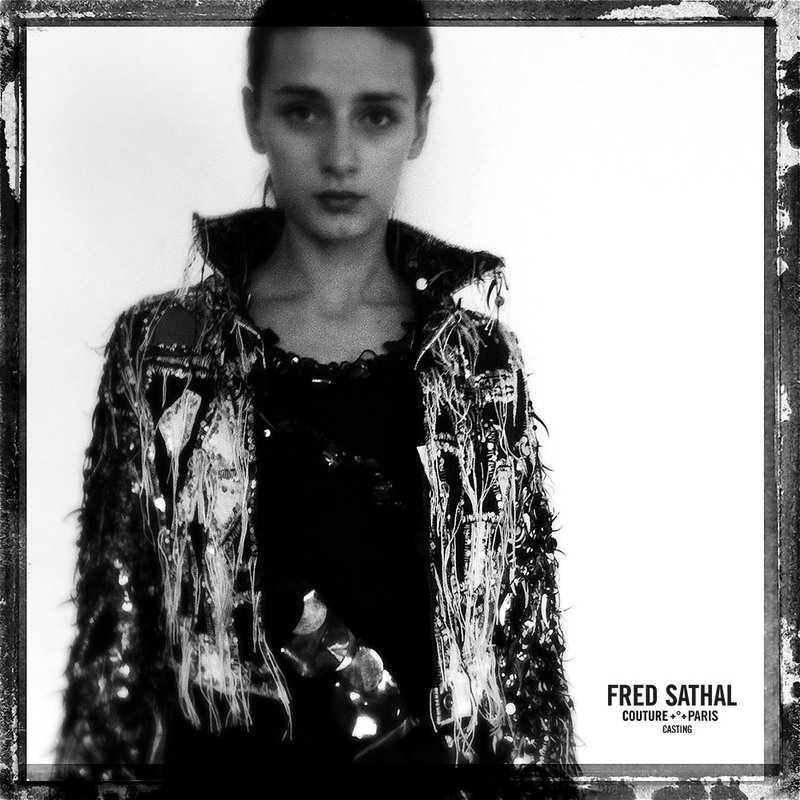 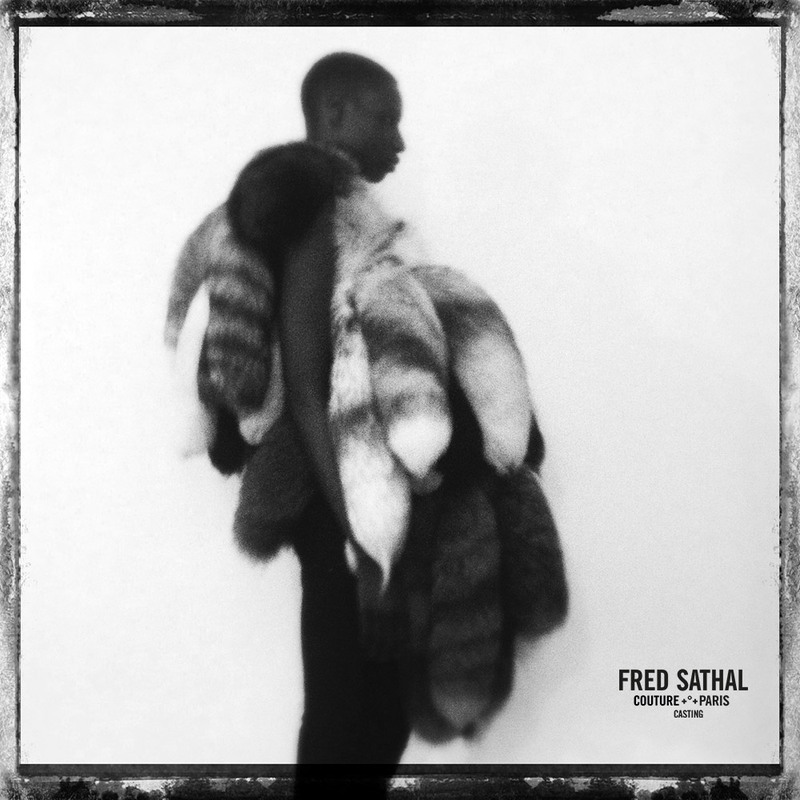 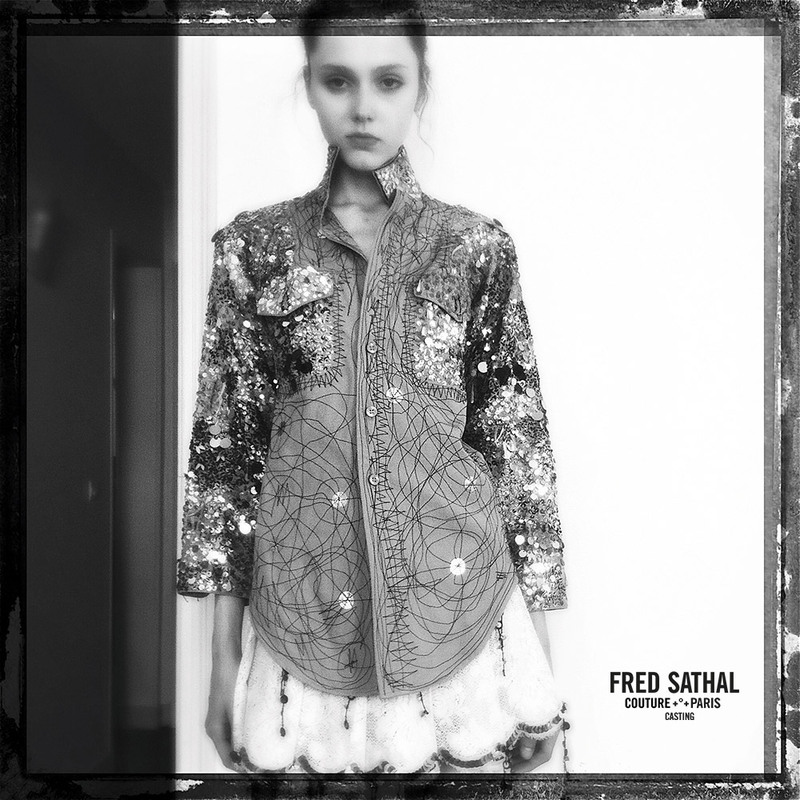 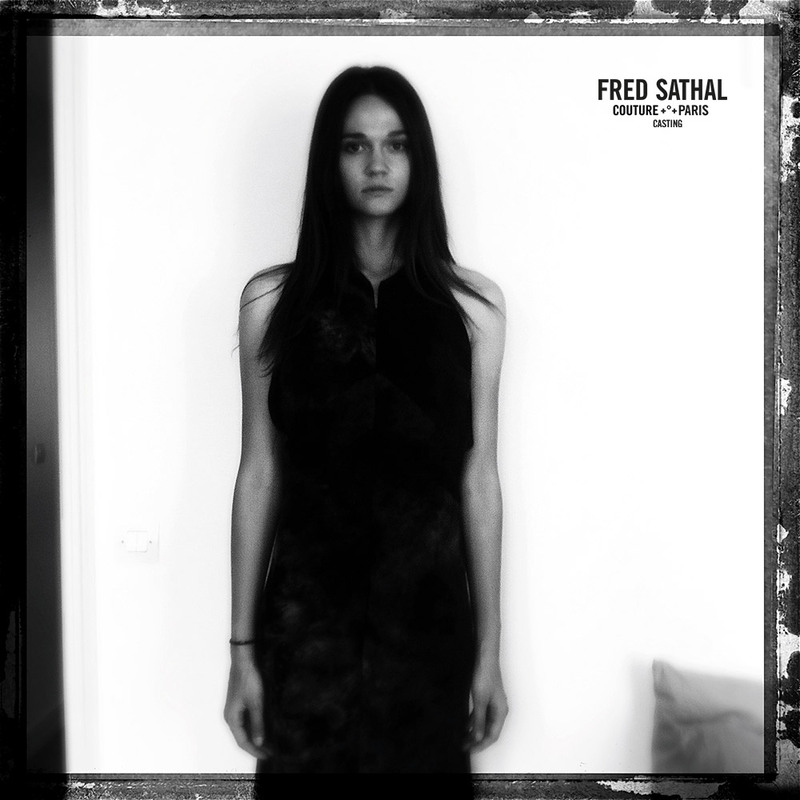 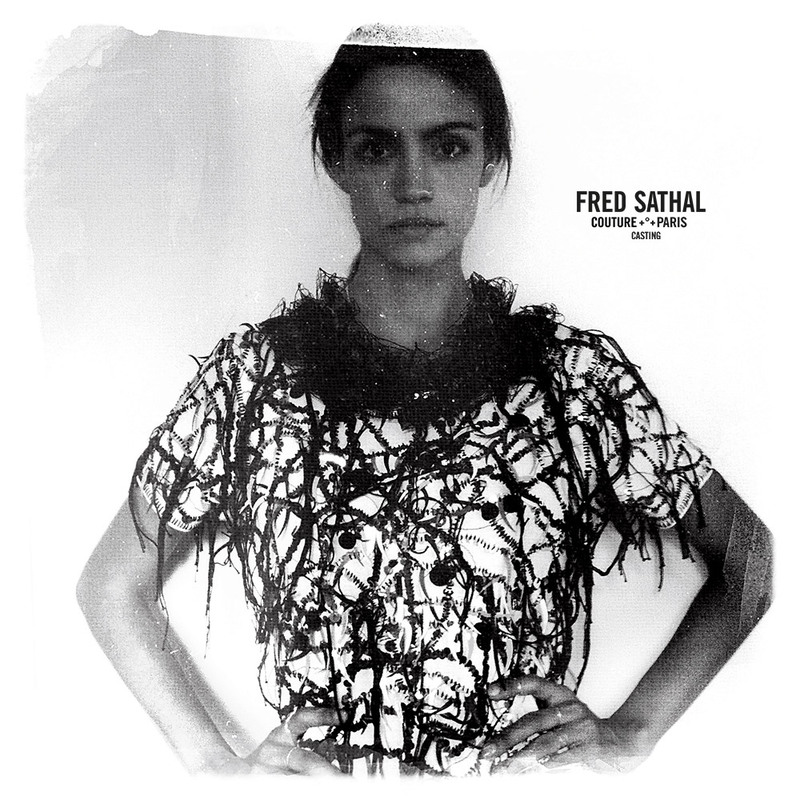 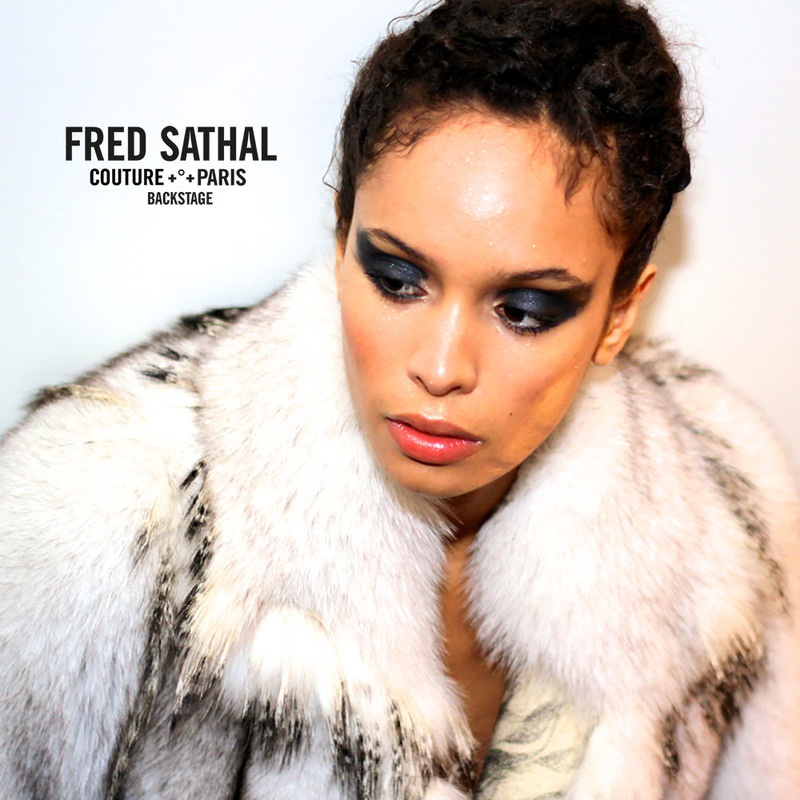 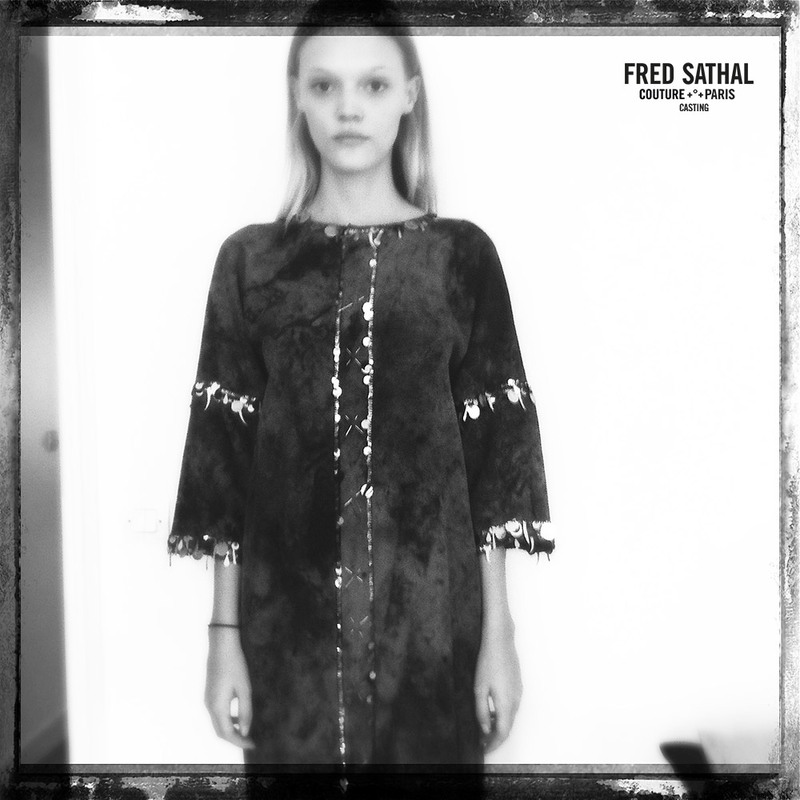 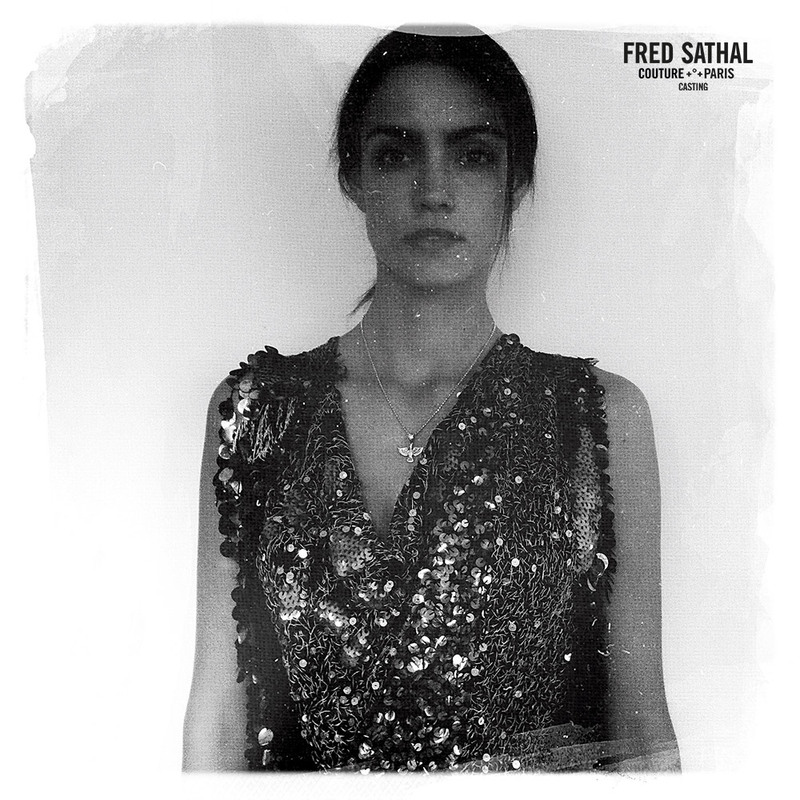 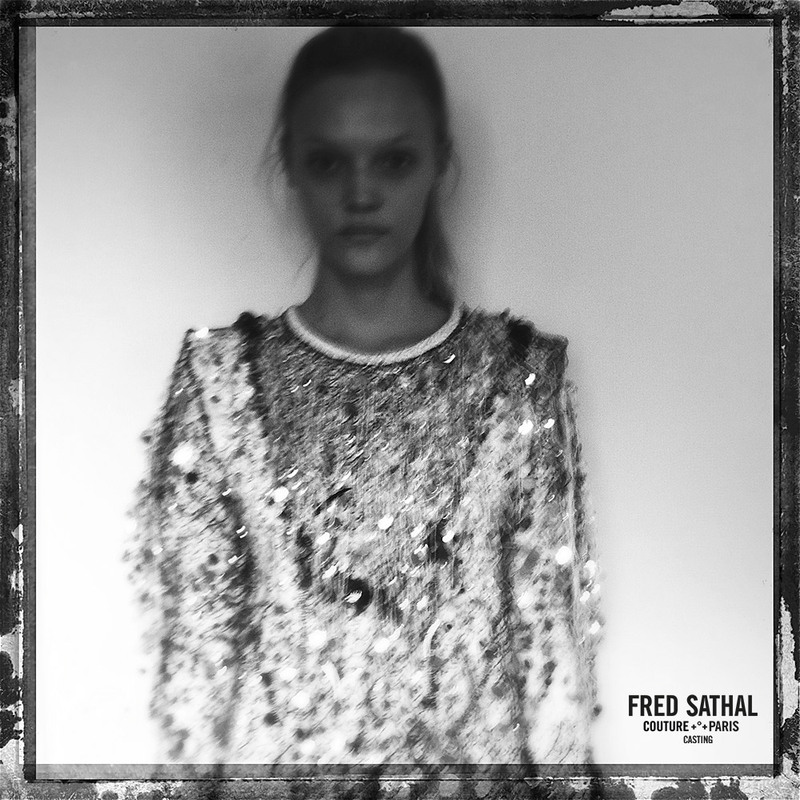 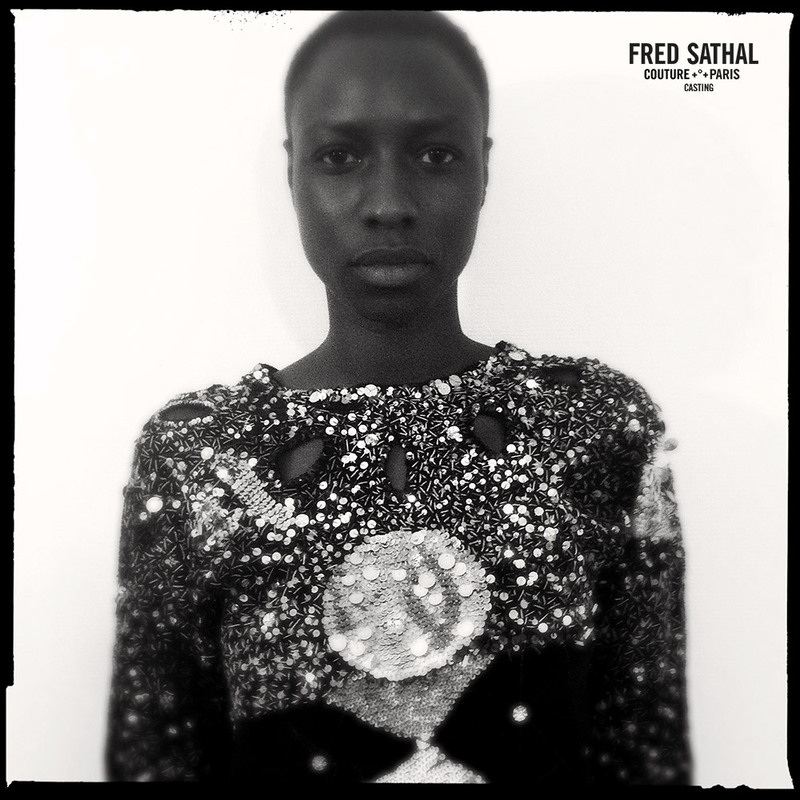 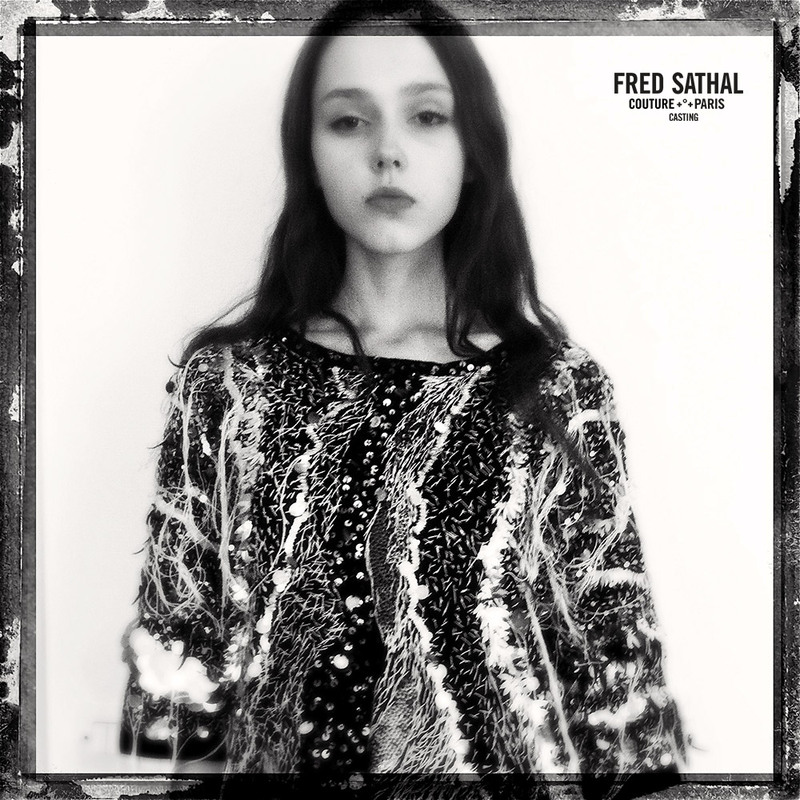 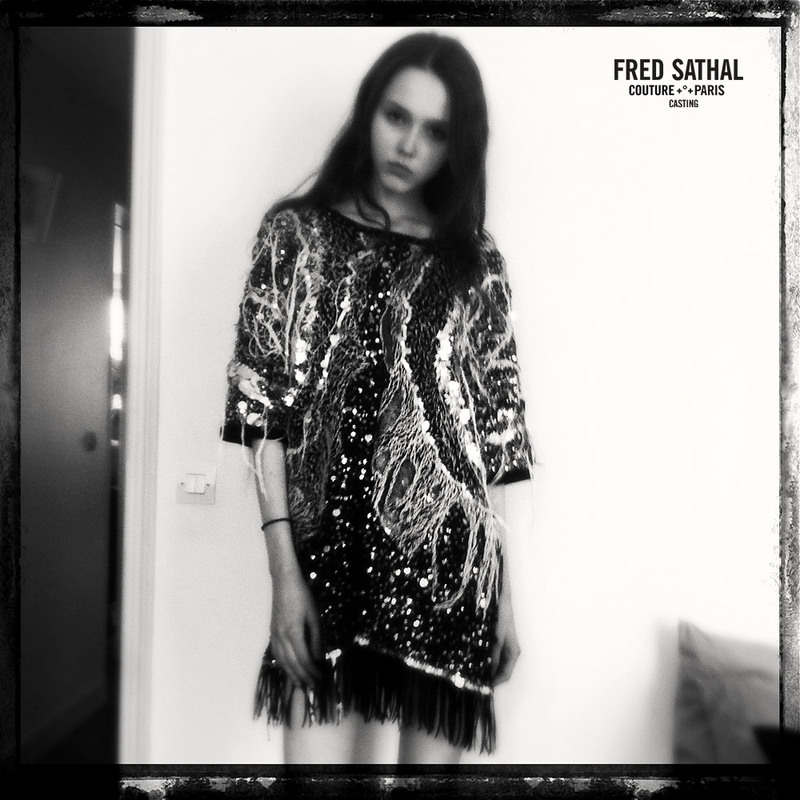 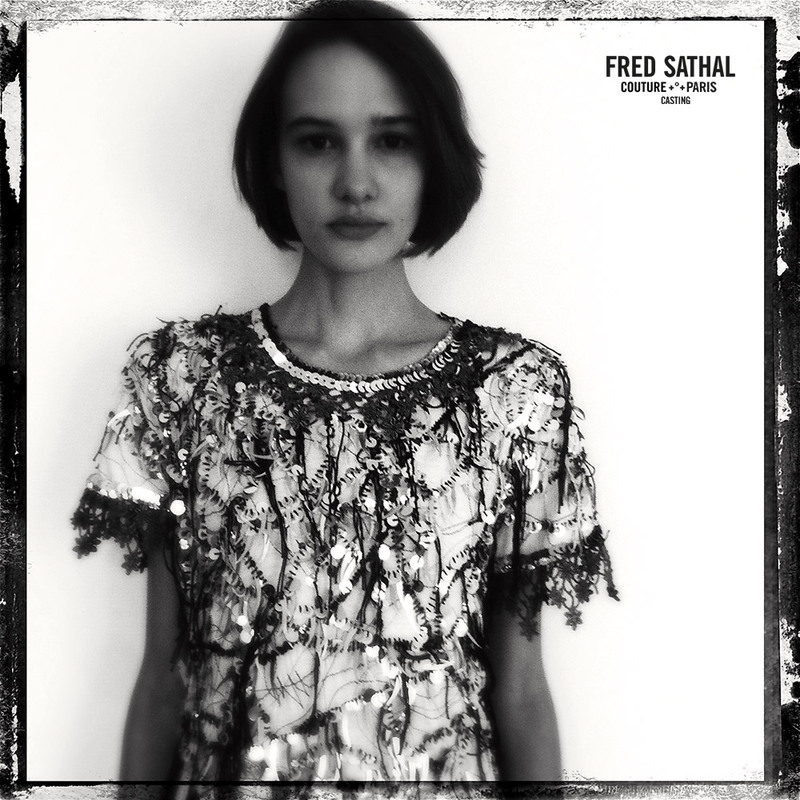 Fred Sathal’s collection presents itself as a journey through the folds of the soul. 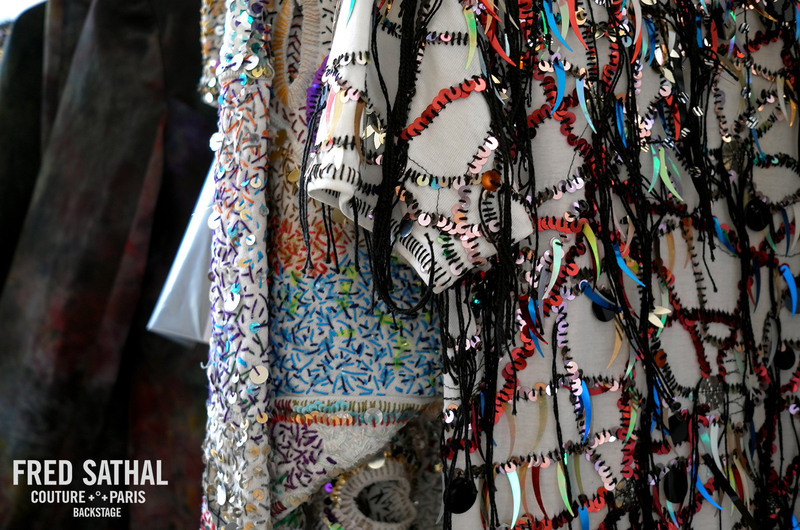 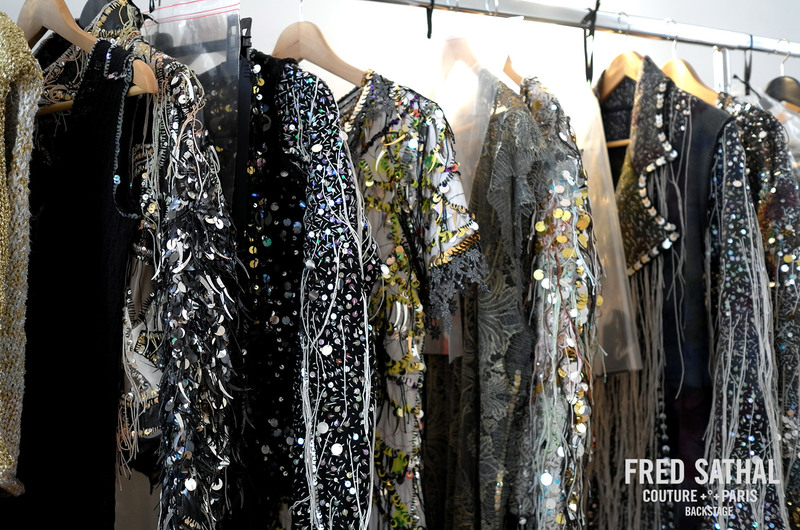 It is a wardrobe embroidered inside and outside, crossed by threads, tassels, sequins, glitter and dyes that reflect light. 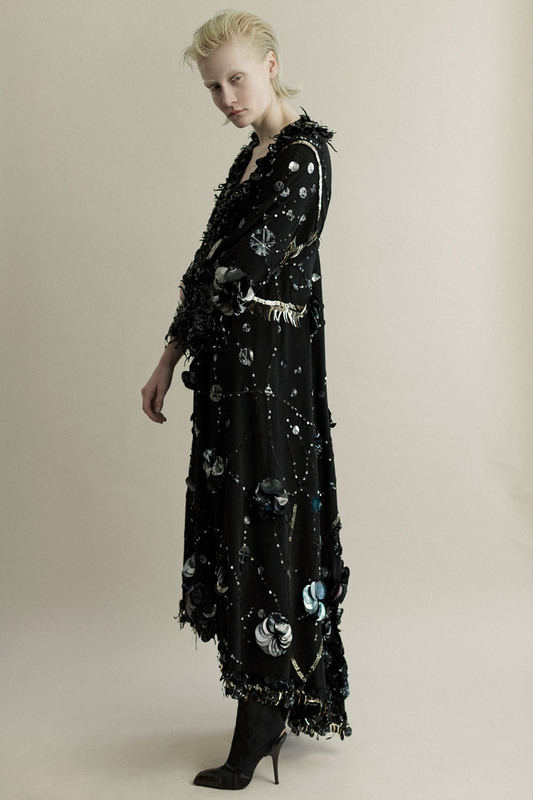 These associations draw in space an organic and cosmic relief. 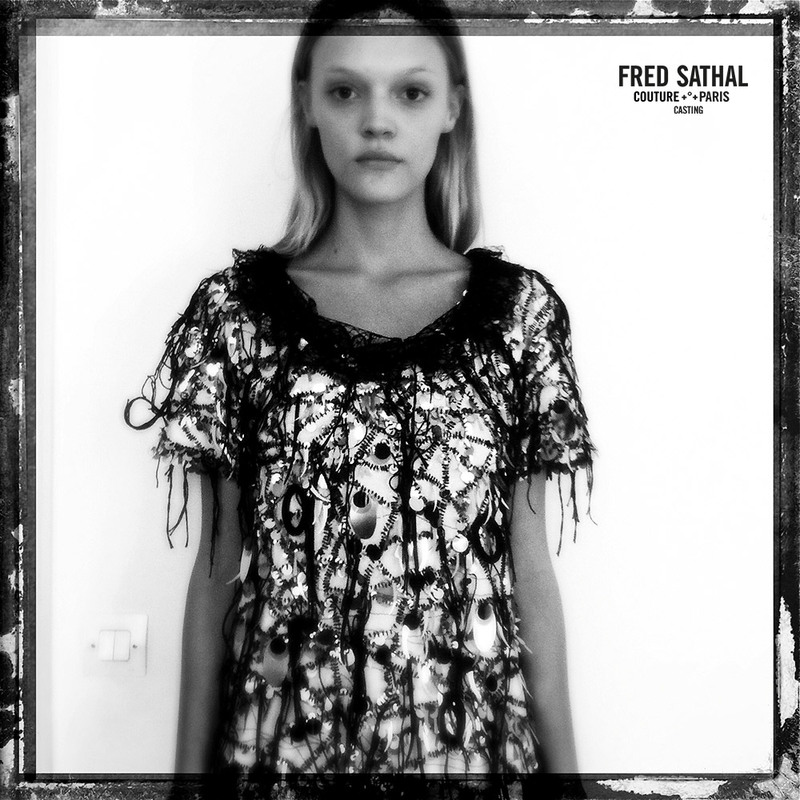 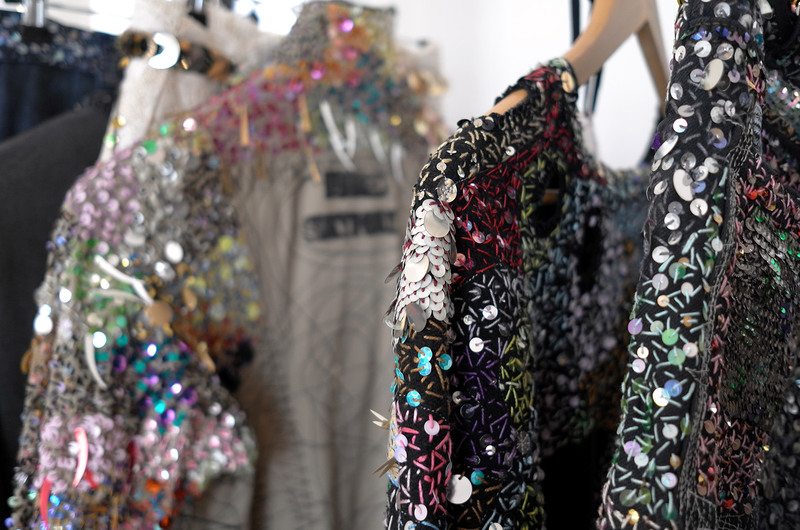 Each garment contains a symbolic and autobiographical load. 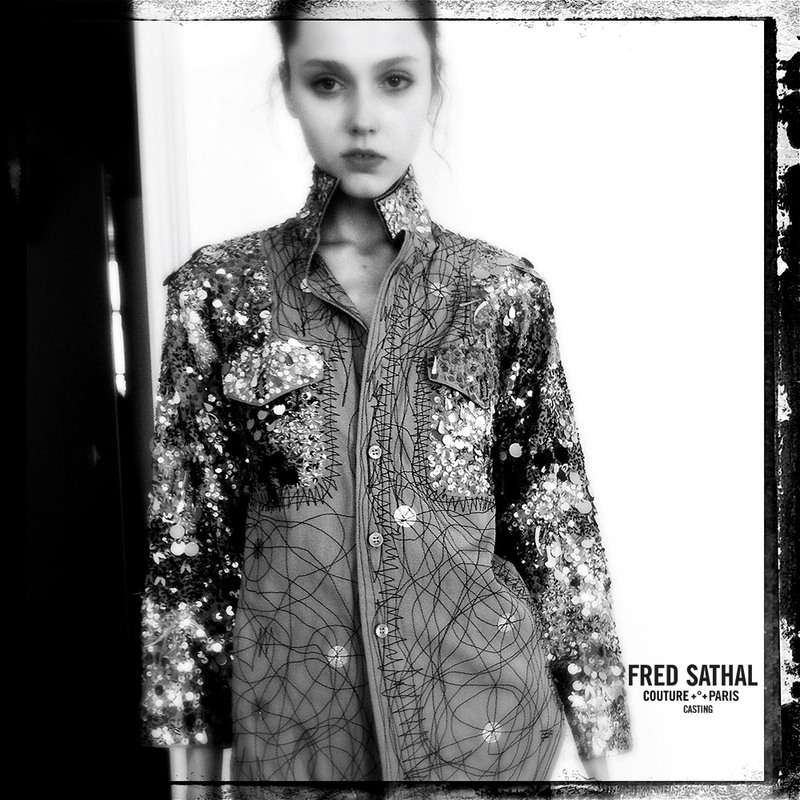 A world stitched with alliances and alchemy which oscillates between sacred and profane. 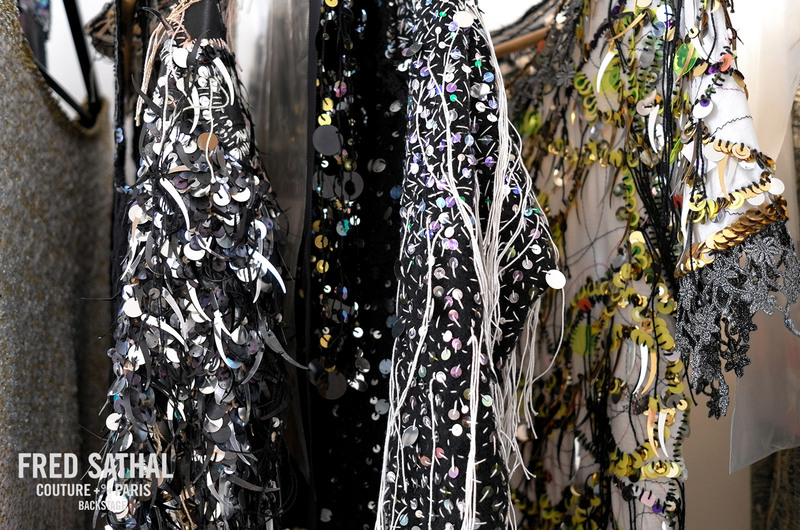 A textile history in mutation offering today the result of four years of research. 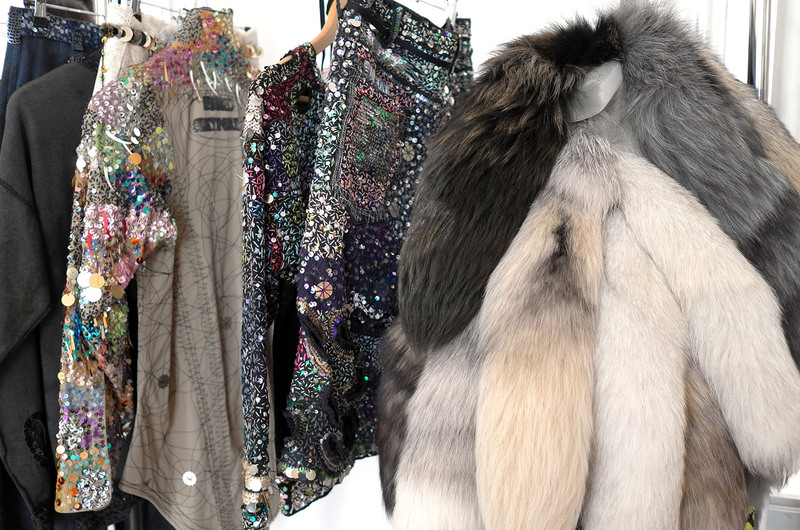 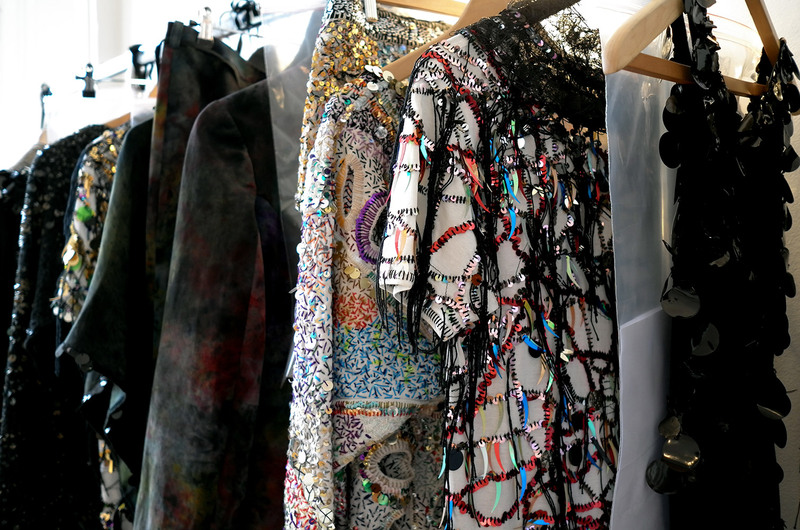 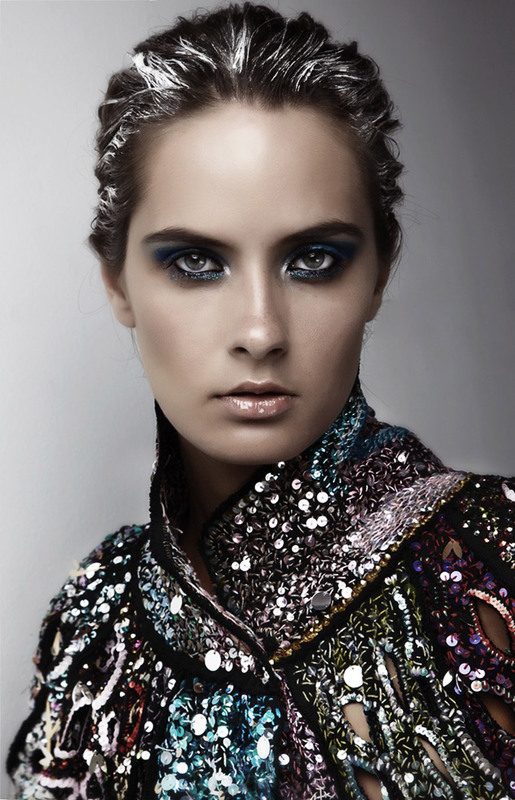 A universe where every garment is a piece of art.